Added a few small bits and pieces here and there from Eaglet (thanks man!) and the Record Replays List that Plasmo and I compiled after Stunfest and I've kept up-to-date. You'll find the Record Replays a little bit further down in the OP. At some point I need to go through this guide and rewrite/reformat, as it's becoming a huge hodgepodge of copy-pasted elements. As requested by a large score of shmuppers here, and by Randorama who I offered to collaborate on a guide with, is a near-complete players guide to Raizing's much-loved and much-hated shmupping masterpiece Battle Garegga. Please note however, I'm not quite the authority on this game, so don't take my random warblings as the be-all-and-end-all of strategic info. This guide is also geared towards scoring and thus contains intermediate to advanced level tricks and strategies, so if you are a player new to a Raizing style game, or a returning player looking to improve his knowledge and abilties, please take a look at the Training Plan that is housed in the General Information section of the guide. If you do have any questions though, I'll be very glad to answer them, to the best of my knowledge, or you'll get a reply from someone who has an answer to your question(s). And if you have a musing of your own, please feel free to jot it down. Anything that is BLUE in color is an external link, usually to a supporting replay file. If a link points to a replay file, the codec used for the video, and the total size of the file will be listed next to the link, like so: (DIVX - 25MB). Anything that is VIOLET in color is very important information relating to successful execution of advanced scoring tricks, usually relating to boss or bullet behaviour, or to criteria that must be met to unlock/activate something. If you are looking to get consistent with certain tricks, then don't skip these bits! - What does Rank affect? Here's a quick list of all the currently available replay material I've created for the guide. Most if not all are direct downloads, so just right click and Save As. In the case of future kuso/superplays, they will be distributed via Bittorrent, so have a torrent client handy for when they become available. Many many thanks to rjpageuk and snacky of ikaruga.co.uk for helping me host this massive list of replays! You guys rock! More stuff to follow in the near future, once I get a bit of time to play and capture more footage. Updating the replay list Plasmo and I compiled last year, with some additional things I've come across here and there. Many thanks for all your continued input with this game as I both write and play it. All your information has been a great help! Another rank system hacker that's helped provide invaluable information to the guide vis-a-vis the inner workings of the rank system. Many thanks for your help! Thanks for the additions to the guide, and for continuing to push what can be achieved with this great game. Many thanks! Thanks for the additions to the guide, and keep up the good work with the Wild Snail! Last edited by Icarus on Thu Dec 25, 2014 12:54 am, edited 41 times in total. It is very important to note that Garegga has a very unusual game options setup as opposed to most other shootemups. Besides the standard control configuration of SHOT, SPECIAL WEAPON and OPTION (which can be mapped according to the player's preferences), and 3 LIVES (two in stock plus one active at start), the default Extend setting is at 1,000,000pts PER EXTEND. 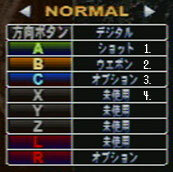 Sega Saturn players don't need to mess with the options screen as the game defaults to this Extend setting automatically. However, MAME players will need to get both battleg (Garegga parent set) and battlega (Asian territories set). Load battlega in MAME, and when the game appears, press the TAB button, and negotiate to the Dipswitches menu. From here, change the Region to JAPAN, and the Bonus Lives option to NONE, then reset the emulation via the main TAB menu. When the game reloads itself, check the copyright screen. If it says "This game is only for use in NIPPON..." then the Region setting changes have worked. Then wait until the title screen appears, and see if it says "1,000,000 Per Extend" at the bottom. If it does, then you're all set! These need to be picked up in quantities to power up your shot level. Your shot level will only be powered up to a maximum of five (normally) or six (with a special condition), and any surplus items collected after that are worth 100pts. These advance your Shot power up by one immedately, and are worth 5,000pts if collected as surplus. One SMALL Weapon bullet is added to your current stock, and 40 is required to get one full Weapon. They are worth 1,000pts if collected in surplus. One full Weapon is added to your current stock and are worth 10,000pts in surplus. One Option is equipped if available, and you can have a maximum of four. Surplus Option items are worth 500pts. One other thing to note. This order carries on even through successive credits, so if you play a new credit, your item cycle starts where your last credit ended. The only way to reset the item order is to reset the arcade board (for PCB/MAME players) or to go to the Options screen (for Saturn players). I'm going to quickly outline an optimal training plan for Garegga players of beginner to intermediate level. This is the way I believe would be the best for players to set out to learn all that Garegga has to offer, in ordered, considered steps. If you are serious about learning Garegga, and have the dedication and time to master this game, then please read on. This is also to address the many misgivings about the best way to learn the game. For those starting out in Garegga, I would advise you to learn to get to grips with the controls, the individual ships (so you can choose which one will fit your playing style) and most importantly, the way the game looks. "Invisible" bullets are a common complaint against the game, but if you play and learn to be observant, you can start to tune your vision to the depths of the screen, and learn to spot the threats. Experience with the game can give you that advantage. Learn to score competently. This involves taking on stages with Weapon to get bonus points for scenery destruction, and it also involves Medal collection. Slowly start to work in destroying bits of scenery with Weapon in each stage, until you can develop a good strategy to take them all out. Also learn to quickly increase the values of, and then keep, your Medals. Medals make up a good portion of your overall score. Off the top of my head, Wild Snail players can achieve around 5 - 6.5mil points by the end of stage 5 without boss points. Including boss points, all ships can get an average of 7mil by the end of stage 5. Start to work some Intermediate rank control methods into your strategies, one or two at a time. While you experiment with intermediate methods, pay close attention to what changes in the game based on what you do. A short note on rank in the game: rank control is only really necessary during your playthrough of the first five stages. This is in order to keep the difficulty from increasing to such a high level that it makes the final two stages incredibly difficult. Once you can keep the rank down enough to allow safe passage up to the turret wall in stage 6, then you can discard most Intermediate rank control methods after the turret wall, as firepower is required to progress. Start to implement Advanced rank control methods, more specifically, the suicide method. By this time, you should be both scoring and surviving decently, which also means that you should be getting enough Extends to use up in suicide attacks. There is no predetermined place to suicide to decrease rank, but there are specific areas where you might need to suicide in order to utilise the short invincibility period, and the bonus Weapon bullets you get from dying, which has the added benefit of giving you more scoring opportunities. Default setting is Arcade (obviously), and you are unable to change the Stock, Credits and Extend Limit options for any of these selections other than Edit, which lets you tweak. Changes the display type to different settings. More will be explained later. A little toggle to tweak the difficulty of the game. Since you can only change this when using Edit, this toggle is to replicate the changes to the difficulty when using the other Difficulty Modes (Easy, Training etc). The Arcade difficulty is set to 4. Fairly self-explanatory, changes the Credits limit. I think from 1-20, then Free Play. Can only be tweaked when using Edit. Your starting Extends stock. Default is 3 Extends (one active, two stocked). Can only be tweaked when using Edit. How many points you need to get to the next Extend. Default is every 1mil, with other settings taken from other versions of the original PCB. Can only be tweaked when using Edit. Where you change your controller settings. More explained in it's own section. 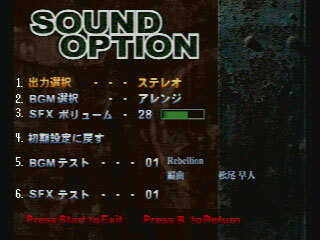 The place to change sound options, and to listen to the BGM/SFX. TATE with correct controller orientation, for monitors set to TATE. TATE for those who have the monitor set to horizontal, with corresponding controller orientation. A full-zoom TATE screen cropped top and bottom. No loss of detail on the graphics, but very difficult to play without having the top and bottom of the screen available. Change the output type to Stereo or Mono. Select either the OST or the AST as your in-game BGM. Change the volume of the SFX to suit your tastes. Default is at 28. Pretty simple, resets all sound options to their defaults. Play the selected track from the OST/AST (whichever you have currently selected in SOUNDTRACK SELECTION. You can select from three different controller types - NORMAL, EDIT and MANIA - each with their own different characteristics. Fires your main Shot, and any Options you have equipped. Cycles through your Option Formations. Both C and R are set to Option as default. There's nothing set to this particular button. This literally means ALL SIMULTANEOUS, which lets you push A+B+C at once. Great for easy selection of ships like the Golden Bat and Shatter Star. You can also change the buttons to whatever you require. A fixed Shot Frequency setting, from 1 to 8. I think this one either allows you to cycle through the Option Forms rapidly, or rapidfires your Options without your main Shot firing. If it is rapid Option Form cycling, then it's a good setting to have, as at it's fastest setting, it gives you a pseudo-Wide formation without having to set up for the special Wide Form (through dropping five small Shot powerups). Please note that with the RAPID settings, the higher the number, the slower the setting. 1 therefore is fastest, and 8 slowest. Either Bullet (the classic thin type) or Red Ball (large red circular bullets). Note that Red Ball does not change all of the bullets, only ones that are aimed at your ship. Allows you to select the Mahou Daisakusen characters without needing to enter the secret code. The main Garegga ships will automatically have a Special Option Formation active at start, and will be unable to change their formations. Mahou ships always use the default Spread Form. Lets you change the order of the middle three stages - Plateau, Factory and Plant - without needing to enter the special code. Shrinks the hitbox in a similar vein to selecting the ship with the C (Option) button. I'm not certain if using this option along with the usual C selection compounds the effect. Changes the menu language to English. As noted, there are a few extra options available in the English menu, including BLAST CHIP and WAIT CONTROL. Resets these options back to their default states. Last edited by Icarus on Sun Jul 20, 2014 1:52 pm, edited 6 times in total. Garegga features a pretty intuitive weapon system that is integral to the many gameplay mechanics that need to be mastered. While the actual control setup can be customised to the player's liking, the base weapons are as follows. Please note that the Sega Saturn version of Garegga offers Classic and Maniac modes of control - Classic means basic Shot, Special and Option controls, while Maniac has rapidfire, option cycling and controlled weapon firing enhancements unique to the Saturn joypad. 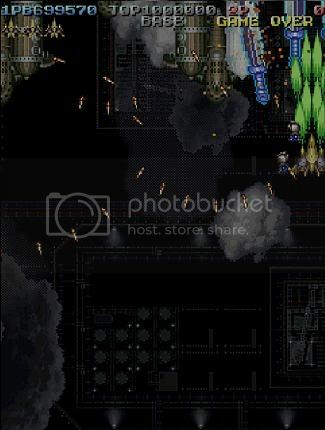 While the term Shot in other shmups is used to describe your total firepower, in Garegga it is used to describe the bullets that are fired from your ship only - the Options are classed as optional (hah) weapons - so it is important to get accustomed to this from the off. Each and every ship that you can select has different Shot attributes - some bullets are larger than others, some more powerful, some have an armor-piercing (hereby referred to as penetrative) capability - so ship selection isn't just based on it's movement speed and special weapon attributes, but also on it's Shot abilities. The only advice I can really offer is to try all the ships and see which one has a Shot style suited to your playing style. One other thing, the Shot weapon also has an effect on your optimal stage-by-stage strategy if you are playing the rank-controlled way, so choose carefully. There is also something that is termed Shot Frequency, which relates to the autofire speed of your Shot. At the start of the game, you have a fixed autofire speed, but you have the ability to change your autofire speed in-game through a variety of options. You may furiously tap 8 times in a second, rest for half a second and then furiously tap again 4 times in the other half second. You hold the button and get an autofire that shoots 8 bullets in a second, then nothing for half a second, then other 4 bullets (repeat this cycle). This is something you should avoid, because holes can be very, very risky when dealing with small and fast planes. It's better to have a slow coherent stream than a fast but uncoherent one. By the way,you have 8 speeds, that can be selected in the special menu as the default ones (I mean, you can change from 4 to any value between 1 and 8,) but then you will have troubles changing fire rate during the game. Learning to use Shot frequency changes is pretty good to know about though. In theory and practice, you can use a much faster Shot speed to give you the added power to defeat larger targets without resorting to the Options that can potentially add more to your rank. All the ships carry a unique Special Weapon (hereby referred to as Weapon) that is fuelled by the many small and large grey bomb-shaped pickups littering the stages. The special weapons first and foremost act as bullet neutralisers, so they can get you out of a jam. However it is important to note that every Weapon has a delay in activation, so it is important to get accustomed to the length of time it takes to deploy a Weapon. Also remember that you don't necessarily have to have a full Weapon in stock to use the attack, but you can only deploy a partial Weapon if you have no full Weapons in stock, and the overall effect of the attack is much shorter than a full Weapon. To get one full Weapon in stock, you must collect 40 SMALL Weapon bullets (or one BIG bullet), and you can hold a maximum of four full Weapons and 40 SMALL Weapon bullets. Whenever you die, you get a bonus of 20 SMALL Weapon bullets added to your current stock. Each ship's Weapon also has a certain range unique to that ship. Grasshopper's Vulcan for example, fires in a cone shape from the nose of the ship, while Gain's Magic Bomb is at it's most powerful right at the center of the bomb blast. Any bullets outside of the Weapon's range will not be nullified, so be careful! You can still be killed even when you're using a Weapon. For more info on Weapon ranges and strengths, make sure you check out the Ship by Ship Breakdown, later in the guide. The Options are small turrets that are "attached" to your ship and fire in unison, and their formations can be controlled by a press of a button. As stated before, Options are a completely optional weapon system that is available to you - a rank controlling player might not use Options for whole stages at a time - however they can be quite handy in adding to your destructive firepower. Two on each side of your ship, one fixed by your side firing at a wideish angle, and one fixed near your ship's nose, firing at a tighter angle. Overall firepower style similar to a fiveway spread. Four pointing backwards in a wide fan shape, similar to a Silvergun's fully powered Tail shot. Four pointing straight forwards, fixed in front of your ship's nose. Good for concentrated attacks. There are also secret formations, that are activated when you fulfill certain requirements. These requirements are based on missing a certain number and type of item BEFORE you pick up the next available Option icon, and also remember that it is a lot easier to set up for certain special formations than others. These are fixed in a similar formation to Spread, but they track and fire at nearby enemies. It is quite hard to destroy faster moving drones with this formation, so if possible, avoid this and go for Homing instead. To get Search, miss 5 Option items, then pick up the next one that appears. To get Shadow, miss 5 Medals, then pick up an Option item. To get Homing, miss 5 SMALL Weapon bullets, then pick up an Option item. They are fixed in the same manner as the Spread formation, but have a much wider firing angle. To get Wide, miss 5 SMALL Shot powerups, then pick up an Option item. To get Chain, one player must satisfy a special formation condition, and the chances of Chain activating is 50%..
You can also cancel a special formation by a press of the Option button. Cancelling a special form puts you straight back into Spread options. One other unlisted weapon you can use is the explosion and resulting scattered shrapnel released from your ship when it is destroyed. The power of the explosion itself isn't very powerful, but the shrapnel can cause moderate damage to larger enemies. 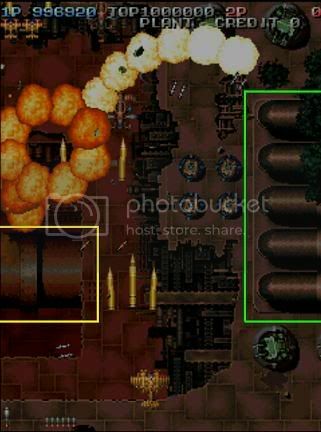 For example, the four large tanks before the Stage 4 boss can have their turrets and tracks destroyed with a well placed suicide, which can set up for easier collection of the LARGE Weapon bullets they hold. Last edited by Icarus on Thu Jun 25, 2009 10:26 pm, edited 3 times in total. Welcome to the “Battle Garegga Rank for Dummies” section of this Strategy Thread. This section is meant to explain the complex workings of Battle Garegga’s rather infamous rank system in as accessible a manner as possible, to make the game’s unique and (very) challenging gameplay mechanics a bit clearer and less intimidating. Information on this subject has long been scarce, especially to shmuppers outside of Japan, which made an already-challenging game even more intimidating in the eyes of many. 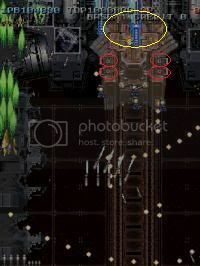 Relatively recently, however, a handful of determined shmuppers have taken (and continue to take) the time and effort to obtain the information necessary to play Battle Garegga properly: right here on the forums, Icarus, for his part, has worked on translating a web version of Raizing’s official Garegga Handbook (found at http://www.vgmaterials.com/handbook), while Twiddle and AWJ have actually hacked into the ROM of the arcade version of Battle Garegga, in order to see the game’s inner workings face to face (this information was checked/confirmed at a Japanese equivalent, of sorts, at http://www.geocities.jp/garelabo/index.html). Thanks to these efforts in particular, we now have access to more detailed and accurate information about Battle Garegga’s rank system than ever before: said information is compiled, detailed, and summarized below. All numbers, charts, etc. listed here are based upon the Japanese version of the arcade game (which, to the best of my knowledge, is what the Saturn port is based off of) set to “Normal” mode, unless specified otherwise. Thanks to those who helped to obtain and interpret this information, and hopefully this guide will be of some help. In case you hadn’t heard of it before, “rank” is the term used to describe an invisible “system” of sorts which a shoot-em-up will use to automatically adjust its difficulty level based on the player’s status and/or performance. 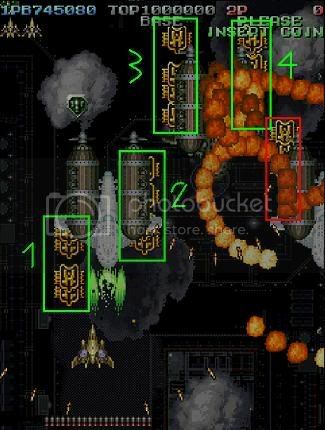 One simple example is the Gradius series: in those games, the more powered-up your ship is, the harder the game gets. Different games use many different factors to determine rank, but Battle Garegga’s rank system is particularly complicated, and dependent on a large number of factors which the player MUST understand and consciously manipulate in order to complete the game. 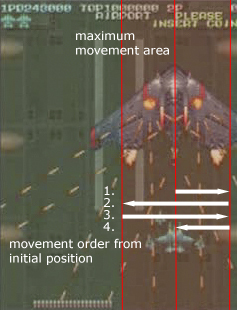 This makes Garegga’s gameplay system much more unorthodox than it first appears, and quite challenging to master: the information contained in this guide exists to give you some idea of what exactly you’re up against. Enemies are more willing to attack you point-blank, charge straight at your craft, or engage in other aggressive behaviors. Enemies fire bullets at you with greater frequency. Enemy bullets travel more quickly. Enemy bullet patterns contain more bullets and tighter formations. Enemies take more shots to destroy. Note that this particular characteristic recedes much more slowly (if at all) compared to the others: basically, if the game’s rank increases by a large amount (thus intensifying all of the factors listed here) and then is decreased by a large amount, enemies’ aggression, fire rate, etc. will drop substantially, but their resilience will remain at or close to the high level they were at before the rank drop. Items dropped by enemies fall offscreen faster. Now that you know what the game’s rank can do to you if you don’t handle it properly, it stands to reason that you’ll want to know exactly how to do just that. This guide will get into a bit more of the “nitty-gritty” aspects of rank control as you read further in, but for starters, here is a sort of “digest” version of the “main” things you’ll want to do to succeed at Battle Garegga, which breaks down at least most of the basic strategies you’ll want to use to successfully tackle the game and its demanding rank system. The guide will explain the listed items in more detail later on, but the stuff here ought to give you at least a general idea of what you’ll need to do. Perhaps the toughest of Garegga’s rank control methods to get used to, but once you do so, things will actually get easier, rather than harder (as it might sound at first), for you. As you might have heard before even reading this guide, you’ll need to make sure that you get shot down periodically to lower the rank. Moreover, as will be elaborated upon below, the fewer lives you have in reserve when you die, the greater the (positive) effect the death has on the rank. As such, you’ll want to never have more than one or two extra lives in reserve at a time, so that your deaths, whenever they happen, help you the most. This means, if you’re scoring well enough to be earning regular extends, you should make sure to lose a life or two on a regular basis, rather than hoarding them and then dying a whole bunch of times at once (likely at a rough area). Obviously there’s a good deal of risk to having fewer lives to fall back on, but as you practice you’ll become confident enough to tackle previously-tough areas without a whole lot of backup. As the previous item brought out, you’ll need to sacrifice quite a few lives along the way to keep the rank from getting too high, and aside from the single item extend in stage 3, the only way to earn those lives back is to score well. Battle Garegga’s (default) extend rate is pretty generous when you’re taking advantage of scoring opportunities properly, so you definitely want to exploit that fact as best you can. 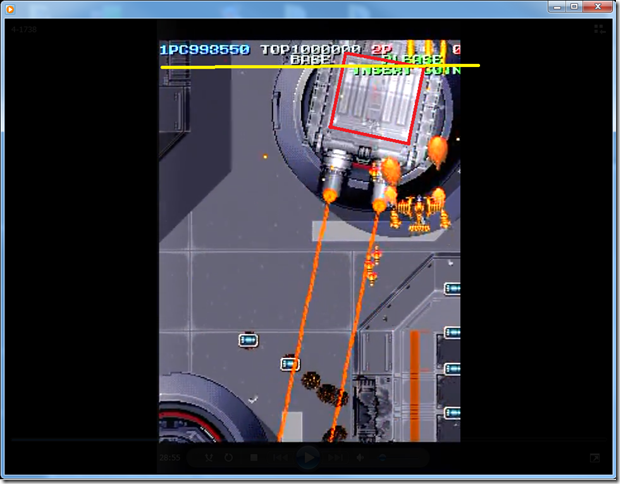 In some shmups you can more or less choose to play either “for survival” or “for score”: in Battle Garegga, the two are, to a large extent, the same thing. You MUST learn to score well to survive in the long term, so read the stage-specific guides or watch some superplays (or just do a bit of experimenting) to figure out how. 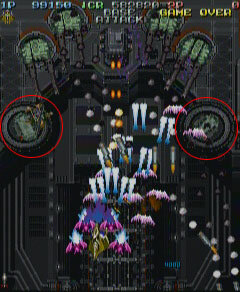 In most shmups, players are encouraged (even rewarded) for using bombs as little as possible, letting them go only when in a tight spot or to make up for a mistake. 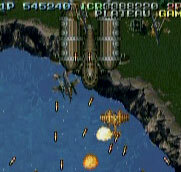 Garegga, on the other hand, includes bombs (or, as some have argued, not really even “bombs” but “special weapons”) primarily, not for survival purposes, but to help you score more, largely through background scenery destruction and a few other “tricks.” As such, for most areas of the game (barring a few exceptions, like the flamingoes in Stage 2), you’ll want to be using your bombs regularly to destroy scenery and uncover hidden medals to boost your score: oftentimes this means having no full bombs on hand, using only a few fragments at a time (since that’s all you’ll have handy) to take out the scenery. In similar fashion to having fewer lives as explained above, having fewer bombs to rely on to get out of a tough spot can make for some extra-tense situations: in the same manner, though, practice will see you through. 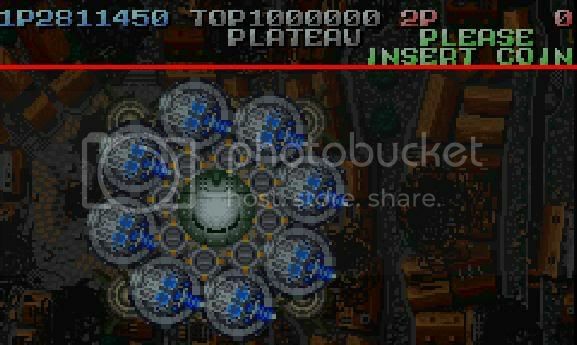 Similar to the above-mentioned treatment of bombs, most shmups encourage you to power yourself up fully as fast as you can: if you do so in Garegga, the rank will likely end up out of your control before long. To prevent this, do your best to get as far as you can with as little firepower as possible: until you’re forced to upgrade, stick with a lower-powered main shot (use the tables below to decide with which planes/characters this will be to your greatest advantage), fewer options, and non-hidden option formations. As with the previous few items on this list, doing this may sound prohibitively difficult, but give it a try and you may be surprised how far you can get with what you might have previously viewed as a mere “pea shooter.” Of course, later levels pretty much require you to have high firepower to progress, but the longer you can go without it, the better. The more shots you fire the angrier you make the rank, so as a matter of principle, when there’s nothing to shoot at, let go of that fire button and stop shooting. Unlike in many other games, where you have little incentive to ever let go of the fire button, in Battle Garegga you’ll want to “conserve ammo” in the few spots where you’re able to do so, although most of the time you’ll have no choice but to fight enemies off. Just keep this thought in the back of your head and you’ll be fine. Use large items to power up when possible. Using small shot or weapon items a handful of times won’t utterly decimate your rank, but when possible you’ll want to use large shot or weapon icons to power yourself up, as in each case they end up doing less damage to your rank than their smaller counterparts will, especially in the case of the small shot icons, which can permanently affect your “per-frame” rank (detailed below). Beware of raising the autofire rate. Battle Garegga gives the player the ability to raise (but not lower) the game’s autofire rate during play, which gives you the ability to do more damage to enemies more quickly. This is certainly tempting, but it comes with a steep price: raising the autofire rate has a drastic effect on the rank, and should be used with extreme discretion, since its effects are impossible to reverse once activated. As mentioned earlier, later levels require greater firepower, but earlier on try to go without it. As in many shmups, if you collect additional power-up icons after you’re already at full power, you get a few extra points. However, in Battle Garegga, such items give you only paltry points in most cases (especially compared to the regular 10,000 apiece you can get from keeping your medal chain going) and increase your rank much faster than if they were collected when not at full power. As such, it’s generally in your best interests to avoid collecting further “enhancements” once you get to that point. Don’t lose your medal chain. Speaking of medals, this point bears repeating: not only are medals a vital source of points (and all-important extra lives), but losing your chain and being forced to collect lower-value medals instead of higher-value ones will raise your rank many times faster than if you’d been able to keep the high-value medals coming. As with everything else, practice makes perfect. Make sure the starting rank level is as low as possible. A relatively minor thing, but every little bit helps: in short, every time the game is played, the starting rank will become slightly more difficult. As such, you might want to either reset it (via switch or Option menu) or let the attract mode sequence run for awhile before trying again, to ensure that you don’t have the odds stacked too high against you right from the get-go. Don’t seal too many enemy bullets. Also relatively minor compared to some other tips, but it can make a difference: while it may be tempting to sit right on top of that big ol’ tank to take advantage of its “dead zone” and prevent it from sending that nasty spread at you, those bullets are still hurting you, so to speak, even when they’re not actually fired at you. Sealing a few bullets here or there won’t destroy your game, but do it too much and you’ll likely wish you hadn’t. Battle Garegga is a tough game by almost any standard, and its unorthodox play style goes even further to ensure that you’re not going to master it quickly. As such, don’t get frustrated or discouraged when you have a tough time; you can always try again later, and the more you play, the better you’ll get. Starting off focusing on certain rank elements only, while not bothering with others (or maybe even none at all), might help to ease you into things, and gradually work your way up to trying to handle everything at once, but there’s no need to rush yourself, just so long as you don’t give up. You’re supposed to be having fun, after all. Okay, so there you have the basic idea of what you’re going to need to do in order to play Battle Garegga properly. It sounds daunting, certainly, and it definitely isn’t a cake walk to pull off successfully, to say the least; as was said, though, practice definitely helps, so don’t give up. Anyway, now that we’ve got the basics covered, the rest of this guide will go into more detailed information about exactly how the rank system works, so that you know what you need to be most careful to avoid and what you might be able to get away with once in awhile. Trust me when I say that the more you know about how the game works, the more at ease you’ll be when playing it, and the better you’ll be able to adjust your play style to work towards success. That said, get ready to crunch a few numbers as we go on: memorizing absolutely everything definitely isn’t necessary, but having a general idea of the elements at work will definitely help you. Ready for the next step? Then read on. Last edited by Icarus on Thu Jun 25, 2009 10:28 pm, edited 4 times in total. 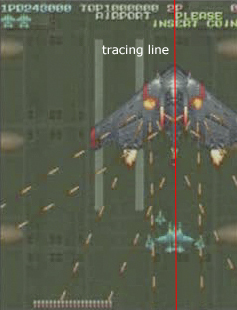 The benefit of having Garegga available in an emulator is that you are able to use waypoints to observe changes in the game's programming at specific points. The advantage of this for us Garegga players is that we can now figure out just what causes rank to increase, by how much, and how much of a decrease a strategic suicide really gives us, among other things. I have to give a huge EXTEND to AWJ and Twiddle, for without their scarily detailed knowledge of programming and the time they both took to experiment with the waypoints in MAME, compiling numbers and their tireless efforts to make sense of it all, we wouldn't have some concrete numerical information regarding the rank system. Battle Garegga uses an invisible numerical counter (henceforth referred to as the Rank Counter) to keep track of how difficult the game gets as it progresses. Since, as was said, the counter is invisible and thus impossible to keep track of directly while playing (unless you hack and modify the arcade ROM to make it display the counter onscreen, as will be detailed in the “Hacker’s Guide” section of this ST), it’s not absolutely vital to memorize every single number related to it, but some basic knowledge of how it works is helpful in the larger picture, so you might want to take note of a few things about it. In terms of exact numbers, on default settings the game’s rank counter starts at a value of 15,728,640. As you play and various things happen, that number will gradually decrease, and the lower it gets, the more difficult the game becomes. It is currently believed that there are certain specific points in the countdown which increases the difficulty “level,” as opposed to the process being more fluid, but this is unconfirmed, and in all honesty isn’t that important, since no matter exactly how the progression works you will want to keep that counter as high as possible. As you can see, easier difficulty levels stop the counter from getting as low, or thus as difficult, as harder ones do. Granted, even at easier settings the minimum number is still quite a ways below the aforementioned default starting value of over 15 million, and thus will still make the game quite a bit more difficult than it is at the starting amount, but the discrepancy is still noteworthy. To the best of my knowledge, the above numbers are accurate for all versions and regional variations of Battle Garegga. 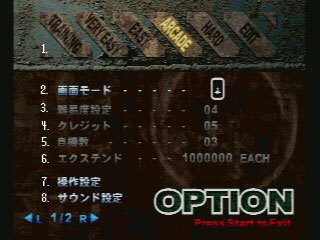 An especially odd feature of Battle Garegga’s rank system is that it adjusts itself slightly even when the game is not actually being played: while the very first game played on either the arcade machine or the Saturn port will begin with the rank counter at the default starting value listed above, with each successive game played, the rank counter will begin at a slightly lower number, and thus a slightly higher difficulty. The exact amount of the change in the rank counter, to all appearances, seems to vary depending on region, difficulty setting, and perhaps other factors. In any event, the more successive games played, the (slightly) more difficult each successive game gets. To counterbalance this, the game has an equally unusual mechanic in place which will actually raise the rank counter when the game is not being played, thus causing it to start out slightly easier (though the counter cannot ever go above the default starting value of 15,728,640). While the game is switched on but not being played, like most arcade games it will cycle through an “attract mode” which shows the title screen, gameplay demonstrations, and the high score list: every time it does this, the rank counter will rise slightly (around 65,000 points) and thus the next game played will start out at a slightly lower difficulty level. The more times the attract mode sequence is allowed to run, the higher the rank counter goes and the easier the game gets (though, again, it never gets easier than the default starting amount). Another (and possibly quicker) way to get the rank counter back to its highest default setting is to simply reset it. On arcade machines, the rank counter is completely reset to its highest value by resetting the arcade board, while on the Saturn port the counter is reset by simply entering the “Options” menu (you don’t need to adjust any particular setting, just enter the menu). For the sake of simplicity, from this point forward in this guide, despite the fact that the rank counter decreases as difficulty increases, I will refer to increases in the game’s difficulty via the rank counter as “rank increases,” as is most commonly done in discussion of this topic. This is the section of this guide that you’ll probably want to pay closest attention to: here are the facts and figures surrounding the various things that increase the rank and cause the game to gradually become more difficult. There are two different ways in which the game’s rank will increase: “Per-Frame” and “One-Time.” Each type of increase is caused and influenced by different things, which will be covered in the sections for each below. A variation on “survival time” based rank (in which the game gets harder based on how long you go without dying), Battle Garegga’s rank will increase automatically during every “frame” of gameplay. Since the gameplay runs at about 60 frames per second, any “per-frame” rank increases occur 60 times every single second of gameplay, so it’s definitely worth taking note of how this mechanic works. By default, the rank increases by 22 points per frame, or about 1,320 points per second. Henceforth, this will be known as the “base” per-frame rank increase rate. (To repeat what was mentioned in the introduction, the data in this guide is based on the Japan-region version of the game on “Normal” difficulty [a default increase of 22 points per frame]). As the ST mentioned earlier, you can use either several small shot items or one large shot item to power up your main shot (except to level 5). A heretofore-unknown bit of information, however, is that using small shot items to level up your shot increases the per-frame rank increase by 1 point. Note that the rank increase only happens at the point you actually level up: if, for instance, you’re trying to power up to level 3, and need 3 small shot items to do it, the first 2 items you collect along the way will not affect the per-frame rank, but the third one, the one that actually activates the level up, will do so. As a one-time event the increase isn’t that huge, but keep in mind, the extra 1 point per frame rank increase is added on every time you use a small shot item to level up your main shot, and the effect cannot be reversed for the rest of the game. Over the course of a game, that can add up. Note that, in contrast, using large shot items to level your shot up does not affect the per-frame rank at all: thus, although large shot items are much less common than small ones, you’ll want to use the former to level up your shot as often as possible. While their “immediate effect” on the rank (detailed in the “Items” section below) is greater than that of individual small shot items (when not leveling up), the point difference is made up by the +1 per-frame increase rather quickly, and can last the entire game. As was also detailed in a previous section of this ST, there are several “hidden” option formations which can be activated by letting certain amounts of certain items pass before collecting an Option item. Before you do so, however, be aware that activating the Search, Homing, or Trace formations will increase the per-frame rank increase by 2 points. Note that “deactivating” the hidden formation does NOT negate the increase: from the point when the formation is first activated onward, regardless of how long the formation lasts, the per-frame rank increase is permanent. Interestingly, activating the Wide formation has no effect on rank. At this point it is unknown whether or not activating the 2-player only Chain formation affects per-frame rank or not. As listed in the table, each fire rate “level” above 12 shots per second multiplies the base per-frame rank by a certain amount, up to quadruple the base per-frame increase at the highest setting. Note that despite the fact that different regional versions of the game have different settings for the base per-frame rank increase (as detailed on the previous table), those “multiplier” numbers (in parenthesis in the chart) are constant through all versions (for example, the Europe version of the game on Normal difficulty has a base per-frame rank increase of 24: thus the adjusted per-frame rate for the 12 shots per second setting would be 36, 15 per second would be 48, 20 per second 72, and 30 per second 96). The same holds true for varying base per-frame rank increase numbers on different difficulty levels. As you can see, if this sort of adjustment is done early on, it can make a BIG difference in how quickly your rank goes up, and what’s more, there is no way to decrease the fire rate once it’s been increased. As such, it’s generally suggested that the fire rate be left on default settings (or close to it) for as long as possible, and increased significantly only in the later stages, where less rank damage can be done between then and the end of the game, not to mention where more firepower will likely be most needed against the most difficult enemies. Another more minor reason to hold off on raising the autofire rate, at least for awhile, is that its per-frame rank levels are “fixed,” since it ONLY multiplies the base per-frame rank increase, and can thus “cancel out” per-frame rank increases caused by other means, to a degree. For instance, say that early in a game you level up your shot with small shot items twice, raising the per-frame rank increase from 22 (the default) to 24. After that, say you adjust your autofire rate to 12 per second, as demonstrated in the table above: despite the previous increases from the small shot items, the per-frame rank increase will now be 33, instead of 35 or 36 (thus, the 2 additional points of per-frame rank from the small shot items are more or less nullified. Note, however, that if you collect those same shot items and increase your power level by 2 AFTER adjusting the autofire rate, then the 2 points would come into effect, and the total per-frame increase would be 35). Still, considering how much more rank damage raising the autofire rate does compared to other per-frame increasers, this is more of a “consolation prize” than anything else. Also, an additional warning: if by some chance you raise the per-frame rank increase to a point above what the next autofire rate increase would put it to, raising the autofire rate will NOT lower the per-frame rank. To amend the previous example, say that early in the game, through items alone, you raise the per-frame rank increase rate all the way up to 36, and then raise your autofire rate to 12 shots per second (which normally puts the per-frame rank increase at 33). The per-frame rate will NOT decrease to 33, but will stay at 36. In short, using the autofire rate to lower per-frame rank simply doesn’t work, so don’t bother trying. As a final point to consider, keep in mind that increasing the fire rate causes you to fire more bullets more quickly, the additional implications of which will be clear once you’ve read over the “Shots Fired” piece of the “One-Time Rank Increases” sub-section below. Simply put, Battle Garegga’s rank increases with every single bullet you fire. As such, on a basic level, you’ll want to shoot as little as possible to keep the rank from going up too fast. Of course, for most of the game you’ll more or less NEED to shoot to stay alive (and score points), but at points where there is simply no reason to shoot, you’ll want to lay off the fire button to avoid a wholly unnecessary increase in rank. Specific information about “per-bullet” rank increases is split up into 2 parts to cover the 2 basic types of bullets you’re able to fire: Main Shot bullets and Option bullets. a) “Normal,” non-piercing bullets increase the rank by 20 points each when shot. b) “Piercing” bullets, which have the ability to pass through enemies, increase rank by 80 points each when shot. c) Every “group” or “formation” of bullets that you fire increases your rank by a set 20 points, independent of how much the individual bullets in the group are worth. It’s worth noting that looks can sometimes be deceiving as to exactly what counts as a single “bullet.” Observe the pair of images below, both of the main shot of the Silver Sword: the image on the left shows the main shot at level 2, and the one on the right shows it at level 5. Believe it or not, even though it looks like the level 5 shot burst contains 6 bullets, twice as many as the level 2 shot does, each “pair” of shells, in this case, only counts as a single bullet. Also, despite the fact that the level 5 bullets are much bigger and more damaging than the level 2 bullets, both are simply grouped as “non-piercing” and thus raise your rank by exactly the same amount (20 points). In short, in the case of the Silver Sword, whether you’re at level 2 or level 5 (or anything in between), your shots increase the rank at exactly the same rate, despite their very different appearances and power levels. Use of the above charts should help to give you an idea of which planes/characters you’ll need to be most careful with when it comes to powering up the main shot past a certain point too early, and which ones won’t penalize you too much for doing so. And remember what I said about being extra-careful about raising the autofire rate? Well, now that you know that every bullet you shoot raises the rank, raising the autofire rate to cause even more bullets to fire in a shorter period of time should be done with even greater discretion. Obviously, you’ll want to be extra-careful about gaining and using options when playing as Miyamoto or Gain, since their extra-powerful option shots increase the rank faster than anyone else’s. An additional note about Gain in particular: although his option shots are by far the highest in rank value, he is only allowed to have one option bullet per option onscreen at one time, while everyone else (Miyamoto included) can have up to 4 option bullets per option onscreen at a time. As such, in the amount of time it takes for one set of Gain’s option bullets to fire, all of the other craft/characters have fired 4 sets, which balances things out a little bit. Also, the same additional autofire rate caution mentioned in the “main shot” section applies here as well: increasing the autofire rate affects both your main shot and your options, causing them to fire bullets more quickly, so be prepared to deal with a faster accumulation of per-bullet rank from both of them if you raise the rate. “MAX Collection” refers to collecting a power-up item (anything except a Medal) when the power that the item affects is already maxed out (i.e. collecting an Option item when you already have the maximum 4 options). Since doing this generally awards only a small amount of points and increases rank much faster than collecting items otherwise, collecting additional power-ups after you’re fully powered-up is not recommended. “Normal Collection” refers to collecting an item under any circumstances aside from those listed above. As was mentioned in the previous section, collecting a small shot icon and using it to “level up” your shot power also adds +1 to the “per-frame” rank counter, along with the “one-time” affect listed above. To give you an idea of the sorts of numbers at work here, the total amount of increased rank you’ll get by using nothing but large shot items to get yourself up to level 4 is 32,768. By contrast, the total rank increase if you use nothing but small shot items to get yourself up to level 4 is 53,248…and that’s not even taking into account the additional “per-frame” ranking also at work (which will have increased the per-frame rank increase by 240 points per second by then). In short, as mentioned earlier on, use large shot items to level up whenever possible. In the same vein as the calculations done above comparing the large and small shot items, consider this: if you collect the 40 required small weapon items to make a full bomber, the total amount of rank increase from those items alone will be 147,456 (more than twice what a single large weapon item would cause). And that’s for just one bomb. As such, in similar fashion to large shot items, use large weapon items to increase your bomb stock as often as you can, although these items are even scarcer than large shot items. As a small thing to remember, don’t forget that, aside from the one-time rank increase listed in the table above, when considering whether to collect an option you’ll also want to factor in the additional rank points caused by the bullets that it will be firing from that point on (see the Option Shots table above). To crunch a few more numbers, to build yourself up from scratch to the 500-point medal level will end up costing you 94,208 rank points: getting yourself all the way from 500 up to the 10,000-point medal level will cost you only an additional 1,770 points. What’s more, in order to gain the same amount of rank increase that you get from those first 4 low-value medals, you’d have to collect nearly 800 high-value medals (798.37 of them, to be more exact): probably a full game’s worth and then some. As you can see, collecting lower-value medals does MUCH more harm to your rank than collecting higher-value ones does: as such, it is VITAL that you do not break your medal chain too often (ideally, never), or else end up raising the rank a good deal faster than you would have otherwise. Of course, you’ll want to keep the medal value high anyway, in order to keep your score rising quickly enough to never be too far away from an extend, as detailed later on in this guide. About the only other thing worth noting here is that the above number applies whether you use a full bomb or a partial one, no matter how many fragments. In any event, you’ll want to use bombs for both survival and score (mostly the latter, if you’re playing properly), but still, you’ll want to try not to bomb when you don’t need to. Then again, that’s the case for almost any shmup you play, so let’s just say that the aforementioned principle also applies here, just with slightly different implications. As such, taking advantage of the “dead zone” can be advantageous, but you’ll want to avoid doing it too often, especially with enemies which fire a lot of bullets. Also, as was mentioned in the “what does rank affect?” section, as the rank goes up enemies’ “dead zones” become smaller as they become more aggressive, so be careful or else you may end up unexpectedly point-blanked to death in a later stage due to the increased rank. Well, now that you’ve heard about all the various ways to increase the game’s rank setting and make things more difficult, I’m sure you’re eager to hear about how to decrease the game’s rank and make the going a bit easier. Don’t get too giddy with anticipation, though, as there’s only one way to do it, and it’s not easy (or pleasant) to pull off. As such, to best control rank you’ll want to purposely keep your remaining lives in reserve to a minimum, to ensure that every death has maximum rank-lowering power. Since you’ll want to die regularly to keep the rank down, this means that scoring well enough to keep the extra lives regularly coming is a MUST. Ideally, you’ll want to “suicide” just before gaining your next extend, so as to get the most out of the death and still have another life in reserve waiting in the wings. Also, in certain spots you might want to take advantage of the invincibility window after dying to get into certain scoring situations, but this has nothing to do with rank control. Anyone who claims that Garegga “discourages skill” obviously hasn’t played it, or at least hasn’t done so while being honest with himself: surviving even while powered-up is no cake walk, and doing so while purposely limiting the amount of lives, weapons, etc. you have available (not to mention scoring well) takes a very high level of skill and practice to pull off. At the same time, anyone who claims that Battle Garegga is “newbie-friendly” or “adjusts itself to a player’s innate skill level” also needs another look at how the game actually works: anyone who hasn’t studied how the rank system functions is doomed to failure, and even those who have done so still need to practice the game extensively to have a shot at completing it without continuing. The game is definitely geared almost exclusively toward dedicated shmuppers, which is both its biggest draw and its biggest off-putting factor…this definitely isn’t a game “for anyone and everyone,” as it were. For most, however, who are willing to drop their assumptions for a bit about what a shmup “is” or “should be,” and to dedicate ample effort to improving their shmupping skills, Battle Garegga is a challenge (and I DO mean a challenge) for the ages. Hopefully having compiled this info will help you along the way, or at least have enlightened your understanding of the game just a bit. Here, for the sake of completeness, I’ve listed a few well-traveled theories about Battle Garegga’s rank system which were prevalent before the above information was obtained, but have by now been proven false. Perhaps the most infamous bogus rank theory, this one stated that once the rank had risen past a certain point, it would “roll over” to the next-highest difficulty level and be impossible to lower down past that point for the rest of the game: as such, it was theorized that dying right after the rank “rolled over” would give the player nearly no benefit at all. Since the rank counter is normally impossible to track directly, the concept of “rollover” turned many potential players off of Garegga, causing rank control to appear largely based on blind luck. Thankfully, this theory has been proven false, and players don’t have to worry about timing their deaths during a brief “window” which they can never actually see. One factor that was theorized to raise your rank was simply how many enemies you destroyed, and players were advised to purposely let some enemies pass without taking them down periodically to help keep the rank down. This has since been proven untrue, although it is true that the shots you use to destroy enemies DO raise the rank, so this theory likely sprang from confusion about per-bullet rank. It was previously thought that, aside from dying, another way to lower the rank was to drop a “Max Value” (10,000-point) medal: while it supposedly wouldn’t lower rank as much as dying would, the more you dropped, the more the rank would supposedly lower. In a way, the opposite has since been proved true, since lower-value medals (which will appear after breaking your chain) raise your rank much faster than higher-level ones do, and dropping the high-value medal has no “direct” effect on the rank whatsoever. Perhaps a misunderstanding related to the “bullet nullification” aspect of rank, it has been stated previously that every bullet that was cancelled via either bombing or contact during invincibility would raise the rank. In truth, though, only using an enemy’s “dead zone” to nullify bullets, as described in the above section, actually affects the rank. Another incorrect theory stated that every single button the player presses during a game, even the joystick to move around or the “C” button to change option formations, raises the rank somehow. ROM hacking has proved this untrue. As shown by the chart in the “What Lowers Rank?” section, losing your last life does not in any way “reset” the rank, but simply lowers it by a fixed value (equal to losing one’s second-to-last life, as fate would have it), the same way as a “normal” death does. Hopefully to be updated in the future. 1) Whether or not the “chain” formation increases per-frame rank or not. 2) Differences, if any, in how rank works in 2-player games. Last edited by Icarus on Thu Jun 25, 2009 10:36 pm, edited 4 times in total. Garegga's score system first and foremost is based around acquisition of the many Gold Medals that are littered throughout the stages, and on enemy and scenery destruction. However these factors are pretty complex in themselves and require a bit of thorough explanation. The score system is also closely tied to the rank system in the attainment of constant Extends to suicide with, so knowing where and how to attain the most points from a stage is important. For more detaled scoring info, check out the Stage by Stage Strategies. The Gold Medals that are available throughout the game will make up a substantial portion of your score - about 40 to 50% - therefore being able to attain and keep MAX value Medals becomes an important part of developing a good strategy for the first few stages. The way medals work in Battle Garegga (and Batrider, and Bakraid) is actually very simple conceptually. Whenever you collect a medal, the medal type is set to (medal_you_just_collected + 1). For example, collecting a 400 point medal sets the medal type to 500 points. Whenever a medal drops off the screen, the medal type is reset to the lowest type (100 points). The value of each medal is determined at the instant it is created. The upshot is, you can let a medal drop without losing the chain as long as (a) there is still another medal onscreen to collect, and (b) you don't create any more medals prior to collecting that medal. Why? If you create another medal at this point, it will be a 100 point medal and you're screwed no matter what you do with it. If you drop it, the medal value will reset, obviously. But even if you collect it, the medal value will be set to 200 points, which is scarcely better. Grounded medals aren't treated any differently by the game; their importance comes from the fact that they stay onscreen for a long time and you can choose when to collect them. The optimal strategy for medalling in the early stages of the game is to pick up and release Medals one at a time. As stated in the Basic info section, an item is released every five flying enemies you destroy (or for every single stationary "flying" enemy you destroy), which gives you plenty of time to catch all the Medals on screen and set up to release more. Certain parts of the scenery on some stages can be destroyed for points, but only with your Weapon. These parts of scenery sometimes hold hidden Medals, so knowing where these bits of destructible scenery are and working them into your strategy can imporve your score substantially. Even if a bit of background doesn't uncover Medals for collection, just destroying the bit of scenery still adds points to your total. Another point to note is that some parts of scenery and enemies that can be destroyed with Shot often give more points when destroyed with Weapon. The scaffolding holding the large green bombers together in Stage 3, and some small tanks in stage 4 are some examples. Bosses are made up of several parts, such as artillery, propellors, tracks and so on. Each of these parts are worth points, but depending on what attack you used to destroy them with - Shot, Weapon or an Option bullet - you will get differing amounts of points. Although it is not necessary to know exactly what attack will yield the most points and work it into your comfortable strategy, be warned that your score can differ by several 100,000pts otherwise. For a more detailed breakdown, check the Stage by Stage strategy (when I get round to compiling the Boss data ). Last edited by Icarus on Thu Jun 25, 2009 10:38 pm, edited 3 times in total. This is a preliminary ship-by-ship list, for those new to, or returning to the game. It lists some basic pros and cons, as well as the recommended subtypes for play. When I get some time and motiviation, I'll update this with more detailed information. - All-purpose ship. Nice progressive base rank increase rate. Weapon that covers the screen at full power, and can be aimed. Main disadvantage is that the Weapon at low bullet count has really small coverage (a single bullet gives you a tiny napalm burst in front of the ship), so not great for defense. Has great Weapon strength. Tricky to use for scoring, however. Speed of the ship is quick, so use hitbox types. - Strong Shot which comes with piercing bullets at higher strengths, so you can choose to go power or rank control. Weapon is instant firing and has decent power, also has front and rear coverage. Speed of the ship is okay, thus use a B or ABC variant if you need the extra movement speed. - Weapon with great range and firing rate (a single Weapon bullet releases enough to down a few drones), however the Weapon is weak, meaning you need more to hit certain targets (like the st6 tank hatches). Shot has width, but is low in power. Ship speed is fast, so use a hitbox type if necessary. - Best for distance. Great Shot strength, comes with piercing bullet as standard. Bomb is a little short ranged, however. (Japanese gaming mags noted that 80%-ish of all Japanese clears use the Golden Bat.) This ship has the most balanced speed in the game when using a speed subtype, so concentrate on B/ABC types over the C-type. - Highest scoring ship via exploits, but very difficult to use since the Options count as piercing bullets (meaning less points from certain targets). Options have great power, but can only fire a single bullet each time (Space Invaders Syndrome). Weapon can be dropped multiple times, great for the st2 flamingoes. Masters exploit the rank increase from the Options for the best scoring technique in the game, Black Heart2. Very difficult to use ship, for players totally knowledgeable about the game only. One of the two fastest ships in the game, therefore using C-type is a must. - Options are semi-homing, and take a very wide arc to hit their targets. Everything about Chitta is low power. Weapon is very slow to fire, and I think can be dropped multiple times like Gain. High scoring, but almost as hard as Gain to score competently with, perhaps harder. A nippy ship, but any variant of the default can be used effectively. - Fastest ship, exploding Option shots that do splash damage. Scoring is average but great for distance. Instant firing Weapon, weak power, but covers the screen at max power. Fastest ship in the game (faster than Gain). - Best for consistent scoring. Rapid fire options with great range. Lower rank increase rate compared to the Snail. Bomb is slightly slow to fire, so it's best used preemptively, rather than reactively. Slooooow ship, so B/ABC types are recommended. It must be noted that in an expert's hands, the Mahou ships have much higher scoring maximums than the standard Garegga ships, partly due to the fact that three of the four Mahou ships can exploit Black Heart2's grenade attack. Last edited by Icarus on Thu Jun 25, 2009 10:42 pm, edited 8 times in total. Since the first stage is the shortest of the game, and also the one with the least amount of enemies, this can be seen as a training stage to get yourself accustomed to the way your chosen ship handles, its strengths and it's weaknesses. It is also the stage where you need to collect regular powerups to get your ship up to a good strength for the first boss and the rest of the game. Ships with a penetrative bullet - Wild Snail, Grasshopper and the variants, as well as Gain - can keep their Shot strength relatively low, relying on the penetrative bullet to provide the Shot power, while other ships will have to beef up the Shot and collect Options to upgrade their firepower - the amount of powerups required is up to preference. 1,2: Stay near the middle-right of the screen, and sweep the cluster of vehicles on the right with Shot. Aim to destroy as many as you can. 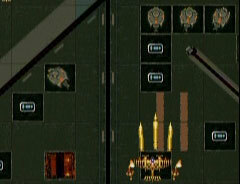 3: Starting from the left side of the lower line of vehicles, collect all the Weapon bullets, using Shot to sweep the next cluster of vehicles on the top-right. 4: Move from the far right of the screen and collect the Weapon bullets, aiming to meet the lowest tank on the left side of the screen. 5: Using Shot, take out each tank in turn and collect the Weapon bullets they leave. Move left to meet the next line of tanks. 6: Move right through the tanks and collect the Weapon bullets, and head to the right of the screen to meet the vehicle cluster there. 7: Sweep the remaining vehicles and collect the weapon bullets. The train that follows the floating railtracks can provide you with much needed Weapon bullets and Options, depending on how you destroy them. If you destroy the train from the rearmost carriage first, then the middle, then the front carriage, you'll get a Weapon bullet for each carriage. If you destroy any other carriage besides the rearmost one first, the carriages to the rear will drop Option powerups, while the carriages to the front will drop Weapon bullets. In essence, the further back you start, the more Weapon bullets, you'll get. There are three sets of train rails on this stage, which provide a route for the three-carriage turret train to follow and attack you from. Using Weapon on these rails will convert the entire rail section to Medals. However, if you want to earn a large score, it is best to ignore these and conserve Weapon ammunition for the Birds on Stage 2. For ships with a straight-type Shot, you can stay to the side and adjust your ship's position so you don't hit the Tail Spines, but for those ships with a wider firing range, you can altrnatively change to Trace Options and attack from the very side of the Tail Turret. When they are both destroyed, the twincannon will activate. You can make your life easier however, by only destroying one of these turrets. This gives you the advantage in space (less bullets to dodge) and plus, you can activate the twincannon whenever you please. When both on one wing are destroyed, the propellor turret on that wing will activate. Knowing this, you should aim to destroy all but one wing turret, and preferably, leave just one on the right wing alone. This will keep the right side propellor from activating, giving you some time and space to maneuver. Now, when you destroy the wing turrets on the left side, the left propellor turret will activate. If you are using a piercing ship, you can damage the propellor from below quite easily, but for non-piercing ships, you will have to completely destroy the armor underneath the propellor before you can attack the propellor itself. Once you have damaged the propellor enough, swing up to the gap next to the propellor and attack using Trace Options. This also has the added bonus of adding damaging to the central propellor. Now you can destroy the last wing turret on the right side, activating the right propellor turret. Tackle the right propellor in the same fashion as the left side, but take care to dodge the attacks from the twincannon. You'll want to try and nip into the gap next to the propellor and attack using Trace Options, as this will also damage the central turret. If you still have time, watch the boss' movements carefully, and nip into the gap in the top right corner, and attack the central propellor using Trace Options. Don't worry about the twincannon, as with the right side of it's turret destroyed, it is unable to attack anything on the right side of the screen. Just one other thing to note: you'll have noticed that with this strategy (or any strategy that you adopt that works) you are deliberately taking out only one side of the boss completely first, before you attack the other side, and then destroy the boss. 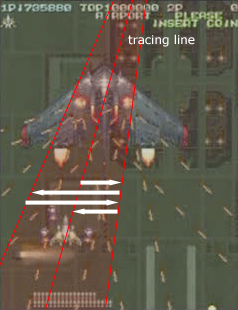 This is a staple strategy in Garegga, and one that is very important to understand and get to grips with first. Last edited by Icarus on Thu Jun 25, 2009 10:46 pm, edited 4 times in total. Plateau is a bit of an anomaly in Garegga, as it is one of the highest scoring stages in the game, and yet it appears so early in the game. However, the actual difficulty isn't in the stage itself, but in the successful execution of the pink flamingoes and Mad Ball scoring strategies. For most ships, you'd be looking at roughly 2mil from this stage, so please read carefully the strategies highlighted in order to maximise your point gain. This is the stage where, for most of the ships, the most points will be gained. This is also the place where you can maximise your Medals quickly, through skillful collecting and through special tricks and secrets. 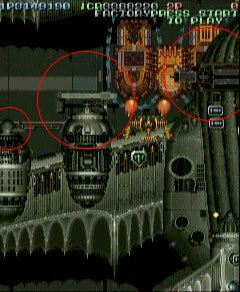 Near the start of the stage is a twin-ballooned gunblimp, and on this gunblimp are eight turrets, four on each side. Each of these turrets will release a Medal when destroyed. Now usually, when you just attack the blimp, it'll release a bunch of Medals of the same value for you to collect. However, through clever use of a suicide and the subsequent invincibility, you can exploit the gunblimp's turrets to quickly raise your Medal values. Use Shot to weaken one side of the gunblimp, to set yourself up for the trick. Suicide by ramming into the front of the blimp. As soon as you respawn, quickly maneuver over one side of the blimp, and fire to destroy the turrets. Quickly maneuver over to the side of the screen while your invincibility is still running, and destroy the blimp. Use Shot to weaken both sides of the gunblimp, to set yourself up for the trick. Lure an enemy down to the middle of the screen, and then suicide by ramming into the enemy. This is to ensure that your explosion shrapnel does a bit more damage to the turrets. Stop firing, then quickly swing over to the other side, position yourself over the turrets, and use Shot again to destroy them. NOTE: Only attempt this version of the blimp trick if you are still carrying two spare lives, and fancy the risk. Suicide by staying on top of the blimp when your invincibility runs out, then quickly swing over to the other side on your next respawn, position yourself over the turrets, and use Shot again to destroy them. 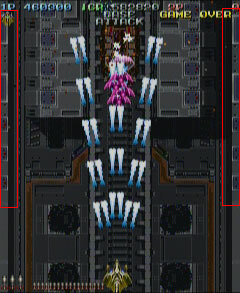 Quite possibly the most well-known of all of Garegga's tricks, as it is one of the most lucrative outside of exploitation of Black Heart Mk2. This is also where all those saved Weapon bullets will come in handy. Not long after the gunblimp, you'll fly over a small forest, with what looks like a square castle keep in the center. When you use your Weapon on the very center of the keep, a large flock of flamingoes will fly out and up the screen from the top edge of the forest. Note that only the Weapon will trigger the flamingoes. Now, you can use Shot to gather points off the flamingoes, but given that using Shot will increase rank, it is better to just use Weapon on them instead. Plus, you get twice as many points from using Weapon off each flamingo than you would from using Shot, and you can hit more flamingoes with Weapon simultaneously. However, since the flight path of the flamingoes is completely random, the optimum strategy for point gathering here would be to try and use use Weapon on clusters of flamingoes to quickly increase score. The only other trick I've noted that can help to increase the potential pointgain from here is to try and hit the point of origin - the castle keep - as many times as you can with one full Weapon, as it seems that more flamingoes are released the more times you hit the keep, and each released flamingo seems to have a higher point value the more the keep is hit. Also, try to hover near the top edge of the forest, to increase the chances of attacking clusters of flamingoes. There is one other very difficult expert trick that you can try here. With your life stock at 0, and your score increasing rapidly off the flamingoes from Weapon usage but under the Extend limit, you can purposely kill yourself by flying into a bullet or a flying enemy. Usually, when you lose your last life, one large Shot item, one large Option item and one large Weapon bullet will be thrown from your explosion. But if you manage to Extend before the Continue countdown appears, you can quickly pick up the large Weapon bullet and expend it on the birds. This is a very difficult trick, however, and seems to work better with characters that have a piercing or wide area Weapon attack (such as Gain, Bornnam, Chitta, Silver Sword and Grasshopper) so try it at your own risk. Just after the flamingoes, you'll come across three houses which will be crushed by nearby tanks. When you destroy these tanks normally, they'll leave behind small Weapon bullets. However, when you destroy them as they are rolling over a nearby house, they'll drop Medals instead. Just before the boss are two planes, each bearing a large cannon on each wing. When you destroy one of their wings, that wing will drop a Medal. If you destroy the body of the plane AFTER you've destroyed both it's wings first, the body of the plane will also leave a Medal. The outer ring of turrets is worth a lot of points of destroyed in the correct manner with Weapon. However, the amount of points you can get, and the method in which to attack the outer ring of turrets differs depending on which ship you have selected. For all the ships, You'll have to wait for around five attack cycles before you can attack the outer turret ring. This is because on the sixth attack cycle, the inner ring of turrets will activate, which will help you by protecting the main body of the boss from being damaged. You can tell when the inner ring of turrets have activated by listening out for an audible chime. For Wild Snail players, it is necessary to suicide to gain invincibility, and then sit ON TOP of the boss' central turret and use Weapon. The Weapon flames will spin around your ship and attack the outer ring of turrets, instead of focusing on the main body of the boss. One small mistake can cost a lot and you have to know exactly when and where to drop the first bomb. With Gain you don't necessarily have to wait five attack cycles in order to drop it. If you're lucky you can use it before his second attack! So when exactly? Watch the boss' movement closely, if Mad Ball is moving slightly downwards, it's your chance. If the boss is at the very top some parts won't be on screen during his attack and can't be hit by your bomb. As if that wouldn't be enough, you're also not able to destroy his parts if they are in the upper 1/10 of the screen (common feature in Raizing games like Batrider, Ibara etc. : enemies in the upper 1/10 of the screen seem to be invincible). Make sure he’s under the red line when you bomb. You can use the green “Insert Coin” text as a reference. Now if he's at the right place it's equally important to know when to use the bomb. You actually have to drop it before the outer ring starts to spread out, so that all parts are destroyed at the same time before they shoot their first bullets. Try to press the bomb button right before the outer turrets are completely closed from the last attack cycle! It's essentially important that the bomb covers all parts at once. The perfect placement for the bomb would be exactly the middle, but since he's moving around, it's quite difficult to know where this is. The best is to drop the bomb right before he’s going to stop for a moment, so that all his parts are destroyed the next time he starts moving again. Either you have destroyed all inner turrets already (if you had to wait longer for Mad Ball to move down) or you now have to take them out one by one. Set your options to back formation and keep shooting during the attack patterns. Everytime he stops firing, you do the same. Try not to harm the main body too much. Use the same strategy for the central turret aswell. And since you get another 1,4mill from Mad Ball Mk 2, this is, besides the flamingoes and Black Heart Mk 2, one of the key scoring tricks of the game! The inner ring of turrets are also worth a lot of points, and thankfully can be taken out at range. Again, much like the outer turret ring, it would be best to wait until the inner turret ring is activated and firing at you before you make an attack, as it ensures you don't damage the main body of the boss. 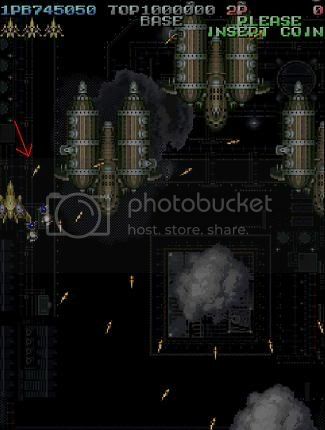 Maneuver your ship to a position directly below the boss' side propellors, and when the inner turret ring starts to fire at you, use Shot to destroy them. You can tell if you are damaging the turrets as they will flash when hit. Try to stay at a position below the side propellors of the boss, or you will risk hitting the central turret or the main body of the boss. The final and most awkward of the targets on Madball is the large central turret. It is tricky trying to attack the central turret safely without damaging or destroying the main body of the boss, but it is possible with a bit of practice. The methods will change depending on the kind of Shot your ship possesses. Last edited by Icarus on Thu Jun 25, 2009 10:51 pm, edited 8 times in total. If Stage 1 was the stage where you get used to the controls, and Stage 2 is where you bump your score up a lot, and learn Weapon usage, then Stage 3 is where you are put to the test with regards to using your Weapon to score lots of points. There are masses of Medals and points to be earned here from scenery destruction, so it is imperative that you learn your ship's strengths with regards to the Weapon and the amount of bullets you'll need to power it to destroy said scenery. You'll also find the one and only 1UP icon here, and it requires you follow a set of special circumstances to uncover it. Read on for more information. As soon as you start the stage, you'll come across a destroyed railtrack in the center of the screen. When attacked with Weapon, the railtrack will be destroyed and will also leave Medals behind. The most important thing to note is that the railtrack sections that are floating in midair won't drop the Medals on the ground, but rather drop them down the screen. If you are not careful, then you might end up losing a lot of Medals by accident. The best way to grab all the Medals involves some preparation at the end of Stage 2. You want to defeat Madball with a few Weapon bullets in stock. As soon as the screen starts to change into Stage 3, quickly maneuver to the center of the screen, and use your Weapon when the screen shifts to black. As soon as the Stage appears, your Weapon will immediately destroy the floating sections of railtrack, and you'll be in the desired position to collect the falling Medals. I'll leave the actual placement of your ship when you use Weapon up to you the player, as it differs depending on the ship you have selected. Shortly after the floating railtrack bit, past a big group of turrets that fire missiles at you, you'll see six large water containers to the right of the screen. When attacked with Weapon, they'll explode and will reveal Medals for you to collect. About halfway into the stage you'll encounter the hovertank midboss. This midboss is the key to releasing the 1UP item that's hidden in a location before the boss. However, the method to uncovering the 1UP is very tricky and requires a bit of practice. What it involves is that you leave the midboss to roll along through the stage, under the unfinished giant bombers that appear in the middle portion of the stage, and up to the marked location where it'll stop moving. If you destroy the midboss when it reaches this marked location and stops, then the resulting explosion will create a hole in the marked location, revealing the 1UP. Please also note that you must destroy all the weapons on both sides of the hovertank - the rear missile launcher and the turret at the front - and the actual side sections themselves to trigger the 1UP at it's location. If you do not destroy both sides of the hovertank completely, the 1UP will not appear. During the midboss chase, you'll see several large green bombers undergoing construction. There will be propellors and scaffolding you can destroy on each and every bomber, as well as some small stationary hovertanks dotted around. You can destroy these normally with Shot, but it doesn't yield many points. The alternative is to destroy each target here with Weapon, which will give you 4,000pts per destroyed section. The only advice I can give here is to weaken each target with Shot, then use only the smallest required amount of Weapon bullets to destroy each target. Try to take out more than one target with your Weapon attack, and be careful, as some targets have a lower resilience to damage than others. Just after the 1UP location you will see a large group of stationary "flying" enemies. You only want to kill the green enemies on the right side with a well placed Weapon to get a 20k bonus (10*2000). The red enemies on the left side don't give you any points, whether you use Shot or Bomb doesn't matter. Before the boss will be a small section with a few turrets that flip over and hide when you get close to them. If you destroy the turrets when they have fully uncovered themselves, they'll leave Weapon bullets behind. If you destroy them before they have fully flipped over, then you'll get 2,000pts instead. You can tell when you've destroyed them for points if they don't leave behind Weapon bullets. Since there is no change in the base pointgain from the boss regardless of what you destroy, there is no really special tricks required to list. However, if you accidentally force the boss to activate it's most awkward of attacks too early, it'll make battling the boss a lot harder. Therefore, there is a recommended order of attack that can be followed to make this boss easy. First off, when the boss appears, you'll be attacked by the 18 turrets that are placed on top of the central section of the boss. 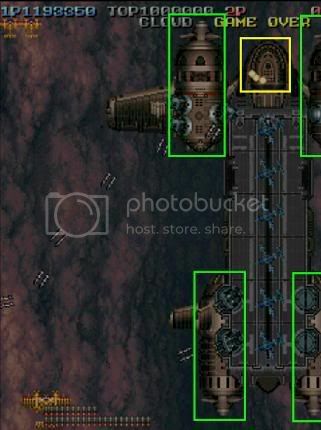 If you sit in the position marked on the screenshot, none of the turrets will be able to fire at you. 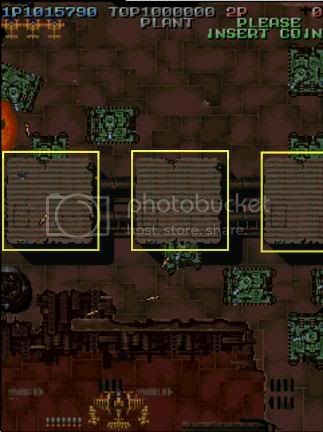 However, there are two pieces of metal scaffolding in a frame that covers the boss when it first appears (also marked on the screenshot) and these pieces will stop you from attacking the turrets that are placed on top of the boss. You will therefore have to sit in the safe spot for a few moments until the boss has cleared the metal framework, and then you can proceed to attack the turrets with Weapon and Shot. Once all 18 of the turrets have been destroyed, the boss will shift into it's next form, which consists of three hatch turrets on either side of the boss, and three aiming turrets on the main body. Now, when you destroy all the hatch turrets on one side of the boss, the giant missile launcher on that side will activate. If you destroy the three aiming turrets on the main body of the boss, however, it'll activate the very evil fast splash cannon located on the back of the main body. During the boss battle, your main aim is to destroy all of the OTHER artillery first BEFORE the fast splash cannon activates. To do so, your aim is to destroy ALL of the hatch turrets on each side, and destroy ONLY TWO of the three turrets on the main body, leaving one. What this does is force the two giant missile launchers to activate, but also stops the fast splash cannon from activating (since not all of the main body turrets are destroyed yet). It doesn't matter which turret you leave, as long as you leave one. Once the two giant missile launchers activate, they'll track your location, before firing twelve large missiles at your last location. Try to destroy one giant missile launcher first, as once it's destroyed, a splash turret underneath it will activate, and fire a splash pattern at your location. Dodge this splash pattern (it's quite easy), and use Shot to destroy the splash turret, then destroy the other giant missile launcher and splash turret. Now, you should be left with the boss almost weaponless except for a small aiming turret on the main body. You can have a bit of fun here, and milk the main weakpoint of the boss in the middle for a ton of points. If you don't fancy milking (since firing increases rank), just destroy the last aiming turret, and set up for the fast splash cannon. This attack is pretty tricky to avoid, and requires setting up your ship in a particular position on screen in order to lure the cannon to fire it's splash attack to the side of the screen. Use the screenshot as a guide, and lure it to fire, and once it's fired, dart diagonally down to the bottom of the screen to sneak through a hole in the large bullets. Then set up to lure the cannon to fire again. It takes practice to get the rhythm correct, but once you suss it out, it's easy. And that's one large, dead boss! Last edited by Icarus on Thu Jun 25, 2009 10:55 pm, edited 9 times in total. The Plant stage is one of the few stages which has a high concentration of destroyable scenery and hidden Medals, so for players chasing a top score, it is necessary to know where all the destructible scenery lies, and how many Weapon bullets is required to destroy them. It is also the end of the short length stages, as Cloud, Base and Airport are very long, and take up half a credit's playtime combined. The watertanks on the left give you 4*10.000 = 40.000 if destroyed with Weapon. The small pipes give you 1.000 and can only be destroyed with Weapon. After it’s destruction, the small tanks will fire at you. Later on you will encounter another set of these small pipes. The big pipe on the left can only be destroyed with Weapon and gives you, besides an Option power up, a 10.000 bonus. There are 3 big pipes found troughout the stage. The small pipes on the right can only be destroyed with Weapon and give you 5*10.000 = 50.000. On top of that, every pipe will uncover two medals. If your medal value is maxed out, this makes (5*10.000) + (5*2*10.000) = 150.000! These tank hangars can only be destroyed with Weapon. While their destruction won’t give you any points at all, they will uncover 4 medals each. There are plenty of them to be found during the stage, so keep an eye on them. These four large tanks will appear a few moments before the fourth stage boss. Each of these large tanks will usually drop four SMALL Weapon bullets when destroyed, but if you destroy all four tank treads and the turret before you destroy the body, then the tank will drop one FULL Weapon bullet instead. 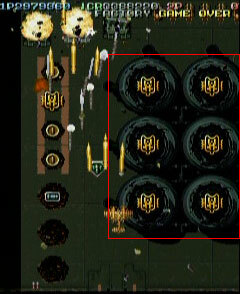 Usually these tanks will have high resilience to your attacks, but if you can time a suicide in the very center of the screen, when all four tanks are on screen, then the spreading shrapnel from your explosion will do a lot of damage to all four tanks, often knocking off all four treads and the turret off some of the tanks. This should make it easier to get all the LARGE Weapon bullets. When the boss, Satanic Surfer, appears, you'll notice there are four rails that stretch across the screen, along with several tank-spawning hangars along the far sides. All of these contain Medals that are released by using your Weapon. Getting all the Medals from the rails is very tricky however, and requires a bit of practice and planning. You'll notice that the Medals will appear in a V-shape, the point of the V being where the rail first starts to disintegrate. Now, this makes Medal collecting much trickier, especially for the slower craft in the game, as you would have to start Medal collection closer to the lowest falling Medal, increasing the chances of dropping a Medal and thus losing Medal value. You'll notice that the lowest Medal is at the far side of the Medal line, and all you'd need to do is start your Medal collecting from that side and work your way along the line. Also note the tank-spawning hangars along the sides of the screen. If you destroy these but leave the Medals, you can give yourself a bit of insurance when collecting the Medals from the rails, and grab them to regain your Medal value if you do drop a few Medals. Once these six targets are destroyed, the boss will start to spawn torpedoes, which you can then destroy for 5,000pts each. Last edited by Icarus on Thu Jun 25, 2009 11:00 pm, edited 5 times in total. 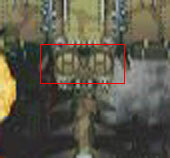 Cloud marks the start of the three epic stages of the game, of which take up half of the game in combined playtime. This stage will start off pretty slow-paced, but will begin to quickly pick up in tempo, so be prepared. Cloud is also home to the boss run, where you'll meet Nose Lavagghin Mark2, Mad Ball Mark2 and the finished giant bomber you saw pieces of in stage 3, as well as the first of the two Black Hearts. 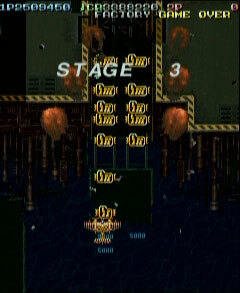 Besides the flying platforms at the first half of the stage, of which will account for 1mil in points, there isn't much in the way of "scenery" to destroy here, so most of your points will come from Medals, and re-executing the strategies to get maximum pointgain from the upgraded versions of the first and second stage bosses. 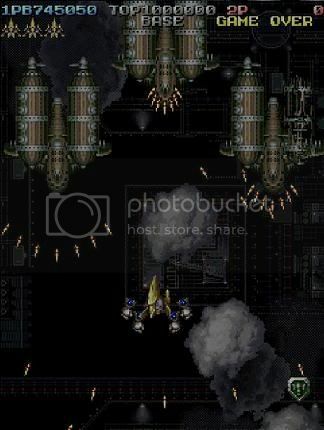 The first portion of the stage is made up of a large group of flying platforms, each carrying a group of non-active "flying" enemies. Now, it is important that you approach and handle these flying platforms in the correct manner, to give yourself the best chance of getting maximum score from this section of the stage. Obviously the "flying" enemies stationed on each platform will drop an item each, which can help you power up your craft as well as giving you some free Medals to collect. However, the platform itself is also worth points if destroyed in the correct manner. Each flying platform has 4 propellors which can only be destroyed with Weapon and give you 5.000 points each. Before you can hit the main body, you first destroy the cockpit, that shoots an aimed three-way shot at you. (the main body shoots a 5-way one) It’s worth 5.000 if destroyed with Weapon or penetrative bullets and 10.000 if destroyed with non penetrative Shot. Finally the main body is worth 10.000 if destroyed with Weapon or penetrative bullets and 20.000 if destroyed with non penetrative Shot. The trick to getting all four propellors and the cockpit in the correct manner depends on your ability to collect and utilise the small amount of Weapon bullets you can get from the small turrets that are placed on the propellors. By using the smallest possible amount to destroy the propellors, you can limit the damage you do to the cockpit. How you use your ship's specific Weapon on the propellors depends largely on the Weapon's power, range, and your ship's placement. Wild Snail players have a very powerful, but often uncontrollable Weapon, so the best method to use is to place youself between two propellors either top or bottom, as in the screenshot, and use up to two Weapon bullets. This will send a small flameburst to each side, and if placed correctly, these flameshots should take out each propellor. 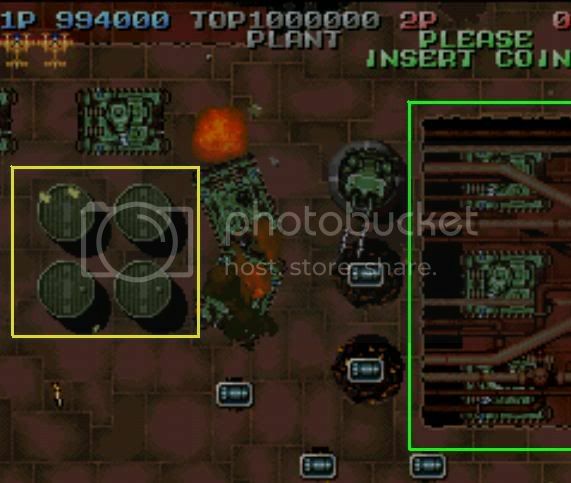 Grasshopper players can use the bullets fired from the front of the ship during Weapon use, as well as the cartridges spewed from the back, to take out the propellors, by carefully placing your ship between the propellors on each side of the platform (see screenshot). 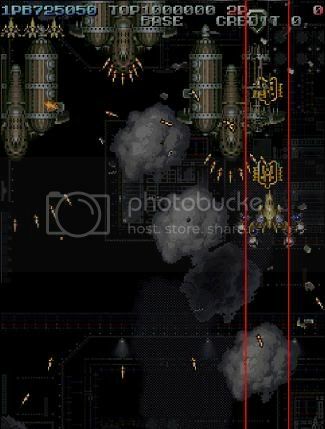 Gain and Bornnam players can carefully place a bomb blast fuelled by at least three small Weapon bullets to cover each pair of propellors at the top and bottom of the platform. Please refer to the Stage 1 guide for tips on beating the boss. The frontal propellors on the wings now fire indestructible bullets, and in two patterns aimed in your direction - an enclosure-style attack, and a spread-out attack - and will alternate between these two patterns. The twincannon mounted on the main body will now track your position, and when it has a lock, will fire a burst of four missiles before stopping to track you again. You can use this to your advantage by luring it to fire out of the way, then moving to attack your target while the twincannon fires it's salvo. Please refer to the Stage 2 guide for tips on beating the boss. With the Mark1 type, the laser cannons on the outer arms would lock to your position and fire at the same angle as each other. The laser cannons on the Mark2 type will all take at least a second to track and lock on to your position, and will fire at their locked-on position, creating a wider fan-style laser attack. The trick to dodging this attack is to start high up on one side of the screen, and slowly move down the side of the screen, only dashing out of the way when all the laser cannons are about to fire. This way, the laser cannons will not fire in as big a spread as usual. The single firing turrets on the outer ring used to track and fire at your position with the Mark1 type. The Mark2 type now locks onto and fires at your first position, and will continue to fire at that angle until the end of it's salvo. The Mark1 type has an eight-way turret as part of it's central turret forms. This eight-way was aimed at your position, making it pretty easy to dodge. The Mark2 type has the same turret, but the turret now rotates as it fires, which means you need to watch out for gaps in the pattern in order to survive. There is an easy way of avoiding this pattern. Since the eight-way shots are fired at regular intervals, you need to find a gap in the pattern, and then tap to move with the gap. It's made significantly harder to dodge if there are still turrets active on the inner ring though. You should recognise the giant green bomber that appears after Mad Ball2. It's the complete version of the partially constructed ones that appear in stage 3. In this case though, you can now attack the mothership directly, and damage the armor plating that covers the mothership. 1) The main cockpit will fire a fanwave of bullets when you destroy the covering. You can lure the fanwave to fire off to the side of the screen, and then go over it quite easily, as it always fires at set intervals. 2) When you destroy the cockpit, make sure you destroy the ring of shrapnel that reults from Black Heart busting out of the carrier using Weapon, as you can get around 400k in points if you destroy all of the shrapnel pieces using your Weapon. However, the interesting part here, is the conical machine-gun attack started sweeping (the way I manage my rank, it never sweeps until the 2nd instance of the attack), and... kept on sweeping counter-clockwise, allowing me to just camp the weak spot for a quick win. I can't seem to reproduce this effect, as I'm not sure what caused the attack to #1 sweep when normally it only does a quick burst the first time around, and #2 sweep away from my ship. Heheh There are a couple of little "bugs" that Black Heart can be affected with that I know about, that one you described is one of them. As you may know, Black Heart's "third form" features a pretty tricky sweeping vulcan that can often catch you unawares and take a life or two. While the behaviour of the sweeping vulcan is easy to learn and remember, you can often create unusual movements by messing with the "rules" that govern the vulcan's behaviour. It is the last rule that is the most important in recreating this glitch in the attack pattern. 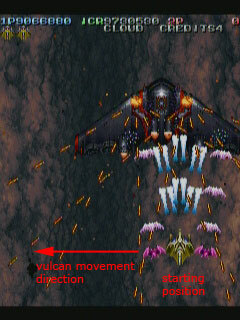 If you are killed by the vulcan, or escape the vulcan using Weapon, you can force the vulcan to circle Black Heart in the manner you described by moving to a location on the screen which makes the vulcan sweep upwards. If it is done correctly, the vulcan will continue to circle Black Heart, while you can sit under main core and attack full force. It is very risky to attempt this trick however, as it is very difficult to trick the sweeping vulcan in this manner. However, if you can find a method to constantly recreate it, then it might mean a quick kill can be added to your strategy. "AROUND THE WORLD IN EIGHT SECONDS"
During the "third form" Black Heart will attempt to trap you between the afterburners, and then move across the screen while you're trapped between them. The direction Black Heart will move when it uses this trapping attack depends on which side of Black Heart you are on. Now, you can make Black Heart do some funny things with this attack, such as making Black Heart move off one side of the screen, and reappear on the other To do this, you have to lure Black Heart to try and trap you with the afterburner attack near the side of the screen, and make it so that it's movement direction will send it off the side of the screen. If you can do this, and get safe by moving over the top of Black Heart to the other side, the boss will move off the side of the screen, and reappear on the other: "around the world" so to speak. Last edited by Icarus on Thu Jun 25, 2009 11:07 pm, edited 4 times in total. Thanks to Rastan78 for providing this preliminary writeup for Stage 6. I've gone and added some more data to his writeup in the form of quotes, taken from past posts within the guide thread. I've left his writeup intact, so you'll be getting the benefit of both my own info and the viewpoint of another player. Also, thanks to Plasmo for some additions to this section. Keep it coming! Once I get round to it, I'll add more indepth data to this writeup, including boss point values and some alternate strategies for particular sections. If you've made it this far, then get ready for a whole new challenge as you enter Stage 6. The high bullet and enemy count on this stage will make both survival and keeping your 10,000 pt. medals going quite a chore. Don't expect to breeze through this one on your first few tries. You're going to need a lot of practice as well as some good techniques under your belt to succeed. At this point in the game, you can pretty much forget about rank control. Rank control in the first five stages is used to keep the challenge lowered from here to the end. Now it's all about firepower. Feel free to grab up to four options and max out your shot level. A higher shot frequency is also recommended but not completely necessary. Near the beginning of the stage, you will be confronted with two sets of medium sized enemies that produce medals when destroyed. Some planning is needed to get the most out of this section. 1. The first set of three medium sized enemies will be the twin-cannon planes that you first encountered in Stage 2. Each one can produce a medal from each of the two wings and one from the main body. If you want to maximize the amount of medals spawned then destroy each wing first, followed by the fuselage. The trick here is to begin by attacking all three ships with your standard spread option formation to weaken them and take out a few of the wing-mounted cannons. Swing out wide to the right and left to create the largest possible gaps in the bullet patterns. After you've weakened them, switch the options to the front and focus on taking out the planes one at a time. The key is to not create a messy situation where medals cannot be reached. 2. Next you will encounter three of the large gun blimp enemies. Again, this is a very tricky section to get the medals due to the large amount of enemy fire. Also, remember that you can aim to the center fuselage of each enemy if you want to play it conservatively and produce less medals. The best technique is to begin by simply focusing on one of the bottom blimps to the left or right first. Use your options' front formation to focus fire only on your chosen enemy and try to avoid enemy fire while grabbing the medals. After you have taken out this enemy move far to the opposite side of the screen and suicide one ship. The shrapnel damage will produce a ton of medals. Use your invincibility to quickly gather them up. Alternatively, if you are using a Mahou character with an area bomb, you can use a bomb placed over the two remaining enemies for a similar effect. Right at the start of stage 6 you’ll encounter the most difficult section to hold your medalchain. Consistently getting through this part without losing a medal is quite a good challenge, I still break my chain there over 50%. There are 4 phases of midsize enemies and while the third and fourth phase are really easy, the first two and especially the second is really hard. Without a proper strategy you’ll be lost here, no luck can help you. Let’s take a closer look at the second phase, where you encounter 3 gunblimps at once. Each gunblimp consists of 3 main parts, the main body and two wings, whereas each wing has 4 small turrets and 1 propeller. The first thing to do, is to set you options to spread, or even better, front formation and shoot the right part of the right gunblimp to destroy its 4 turrets on that side. However, if you were too slow with the first phase of enemies or you don’t feel safe collecting these first four medals, you can also set you options to back formation and shoot the mainbody to destroy the right gunblimp early on. Stay underneath the turrets between the red lines, so you can collect the 4 falling medals without too much risk. Only make vertical dodges for the bullets. Next is to fly over to the left side of the screen and position yourself to the left of the gunblimp. It’s important that you not just crash into the gunblimp to suicide, because this way, your shrapnel won’t hit the turrets on the side you’ve crashed into. Just stay on the side and wait for one of the bullets to hit you. After your revival it rains medals! But don’t panic, it’s easy to pick them all up if you do it right. Since you’re invincible for the next 2-3 seconds you don’t have to care about any bullets and can concentrate on getting all the medals. The best is to collect them in the order that is shown on the screenshot. You don’t necessarily have to collect the medals in the red square, if you get all from the fourth column you won’t break your chain. While collecting the medals, you should also shoot the remaining gunblimps to destroy them, they won’t spew any more medals, so you can concentrate on getting the falling ones. If you have somehow missed a line of medals, STOP shooting to wait for another medal to maybe fall down from the popcorn enemies of the next section. There’s a high chance you can get lucky here. This midboss is one of the most feared sections of Garegga and require some of the most precise dodging skills used so far in the game. Start out in about the center of the screen and when the guns start blazing, break off to one side to get out around the bulk of the bullets. By keeping a general left and right sweeping pattern going you can avoid getting cornered, but focus closely on the area right around your ship and use small, precise tap dodges to avoid the barrage. If you can quickly destroy the two turrets to the very bottom on either side, then it's realatively safe from there on out. There's really no substitute for practice here and no shame in using a bomb to help you quickly take out some of the turrets or nullify some bullets. Now I stated that there are two good tested methods to getting past the wall unscathed. Both require you to keep your Options set to Spread Formation, for the best possible range, and also to have good Shot strength and a very fast Shot frequency. If you are using a fast ship, then you can attempt the speed maneuver, which in principle is leading the lowermost turrets to shoot wide of the screen, giving you the time and space to get under and dash past their nasty spread attacks. If at any point you get too close to the turrets before they fire, then you can stop and dash through the spread attack, and then set up for another cutback. 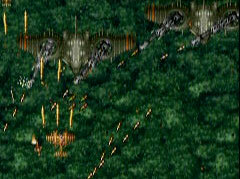 The other, more riskier method of dodging is by short leading of both the lower turrets' splash attack and twin missile attacks from the other turrets. You should be aiming to moving between a few well spaced out points around the bottom and side of the screen, timing your movements with the firing pace of the twin missile turrets. The aim is to destroy one side before you go for the other, as by eliminating one side, you can buy some space and time to dodge the rest of the attacks. After destroying the turret wall, you will want to trigger the homing options. Regardless of the ship used, this will be of great help throughout the remainder of the level. From here on, you will attempt to one life the rest of the level to keep the homing options going. Grab the small bomb chips that were left behind from the turret wall and start hammering the upcoming tanks. Six small tanks to the center will each drop a bomb chip. Grab only one of these unless you left a bomb chip behind earlier. The trick is to have five of them go off the bottom of the screen at this section. The large orange tanks to each side of the screen that approach soon after will give you an option icon that will trigger the homing effect. Throughout the rest of Stage 6, you'll see many hatches that literally pour out tanks. Once the screen gets filled with tanks and their tiny gray bullets (on a gray background, no less), it gets hard to navigate to say the least. Luckily, the hatches can be destroyed with Weapon. This will also yield two medals. By quickly removing these threats the level becomes more manageable. Aside from expert level Mahou character techniques, you will not want to hoard your bombs here, but use them to destroy all hatches. Medals will also appear from grounded planes that lie in rows off to the sides so be careful not to miss these, but don't be too hasty in gathering the medals. Medals from ground based enemies can be your saving grace if an airborne enemy produces a medal that you can't reach. Just let the falling medal go and then grab the one that was left on the ground to maintain the point value. These giant turrets can be a nice point source that should not go ignored. If you destroy the turrets with your shot you get a measly 5,000 pts. Destroy them with bomb and you will be rewarded 50,000 pts., or the equivalent of five max value medals. First, weaken the turret almost to the breaking point with your shot and homing options. Then position a bomb that will destroy the turret and the adjacent tank hatch simultaneously. Grab the two medals for a net 70,000 point gain. Bomb when the red box is about to cross the "INSERT COIN" line. There is a really easy way to passing the second form of the boss - the form which is made up of the main core of the boss, and a large wall of rotating and aiming turrets - and that is to sit right in the middle of the screen, underneath the core, and make only the smallest of dodges to avoid bullets. If you are using Homing Formation, then the Options will automatically train themselves to attack the main core of the boss, giving you a bit of fast attacking power. If you aren't, however, you should switch to Spread Formation, and when you tap to dodge the bullets, your shots should destroy a few of the small turrets surrounding the main core. If you let at least one of the small turrets alive and weaken the main body until the boss starts it's third form, you'll be rewarded with an extra 50k. Last edited by Icarus on Sun Jul 20, 2014 1:56 pm, edited 7 times in total. For this stage guide, I will split up the carrier into four distinct sections, so please read through each section in turn - and use the stage replay - to get an idea of how to tackle the carrier for maximum score. As you approach the carrier, you will be assaulted by fast moving drones. These are easy to dodge, but their bullets will be moving very quickly at this point due to rank, so be on your guard. Shoot them down to get powerups and Medals. When you see the two rear engines appear, you'll notice that they have four turrets each - three are aimed twinbullet turrets, and the square one is a aimed spam turret. First, you can destroy the engines themselves using Weapon for 50,000pts each (total of 100k). What will happen is that the screen will stay at the engines for a short while, then time out and scroll up to the next section with the two large turrets. If you have left one of the round aimed twinbullet turrets in Section 01 alive, then the screen will scroll up to this section and stop for a period of time. This will allow you to destroy both large square turrets at the top of the screen. They will continue to respawn until you destroy the hatchway behind them, and each large square turret is worth 10,000pts each. You'll also find yourself in the middle of a popcorn enemy flood here, which is beneficial in getting yourself powered up to maximum, and for generating a lot of Medals. The screen will stall here until it times out, normally after 3 - 5minutes. This is the most difficult in-stage section you'll find yourself in, so get yourself prepared as soon as the screen starts to scroll from Section 02. The crest section is laden with turrets - four small aiming turrets at the base of the crest (the first of the turrets to appear); six circular aimed twinbullet turrets around the crest; four large rectangular spam turrets (two each side); and four small aimed turrets at the very top of the crest near the nose of the carrier. There is no real easy way to describe the strategy here besides using a lot of cutbacks to destroy as many of the turrets as possible. Turrets will not fire if you are near them - they will go into hiding - so use this to your advantage to create some space. If you destroy all the turrets in this section, Glow Squid will burst from the crest in a hail of shrapnel, and each piece of shrapnel is worth 10,000pts if destroyed with Weapon. Now, in order to maximise your score from the appearance of Glow Squid, it is important to delay Glow Squid's appearance as long as possible. All you need to do is leave one circular aimed twinbullet turret alive, just as in Section 01. What this will do is force the screen to stall, and then time out. When the screen times out is when Glow Squid appears, giving you time to get into position and to anticipate it's appearance. The final part of this stage is the nose of the carrier. Here you will see two chutes which launch red drones that aim at your position when firing, and these drones will launch regularly. As with the other sections, you can stall this section for as long as possible to power up and score points, by not destroying the nose of the carrier. Once you are satisfied and are ready to progress, you can either leave the screen to time out, or you can destroy the nose of the carrier. The nose of the carrier is worth 100,000pts if destroyed with Weapon. Before Black Heart2 appears, you'll be treated to the support fighters again. This time however, there will be two types, one with red wings and one with blue wings. The red winged variants will act much like they did in Stage 5, by firing a twinshot straight down the screen, with a gap big enough to fit through. The blue winged variant however fires a spray of bullets down the screen instead, and will also fire a single aimed small bullet periodically. The best way to handle the support fighters is to stay at the side of the screen with your Options set to Trace, and attack from the sides, taking care not to hit any of the aimed bullets. You also have to be careful to pick up any Medals that drop from the support fighters. Corrections and additions by Plasmo! For some, including myself, Black Heart Mk2 represents the most difficult boss in the game. Think of Black Heart whom you fought in Stage 5, but jacked up several notches with more vicious attack patterns, and you'll have an idea of what to expect. For Black Heart Mk2's strategy, I'll split up his attack sequence into three distinct phases with an outline of what to expect for each. The first phase is quite simple. When Black Heart2 appears, it'll randomly select an attack as its first attack pattern - either homing missiles or the grenade spray - and move from left to right. Make sure you note which attack Black Heart2 selects after it appears, as this attack will always be the first attack during it's left-right cycle. After a few seconds, it'll switch attack patterns and move around the top of the screen erratically, before stopping. When it stops moving, make sure you stop moving too, as it'll fire the reflective vulcan attack. This attack is a little tricky to dodge, as the bullets don't reflect in a conventional sense (not following reflective physics, so to speak). When a bullet hits the bottom of the screen, it'll rebound and travel straight up the screen. Take care to find a safe gap to sit in. Then again, the easiest way to dodge the reflective vulcan is to get right under the core of the boss when it stops moving. When you see the core 'explode' and Black Heart2 drifts straight down the screen, be on your guard, as it has shifted into it's second attack phase. This attack phase is a little more straightforward. As soon as you see the core 'explode' and Black Heart2 drifts straight down the screen, be ready, as it'll try to pointblank you with a larger spray of grenades. Black Heart2 won't stay around the bottom of the screen for long, though, and will travel back up the screen while still firing grenades. 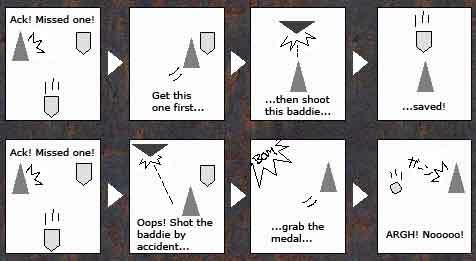 Feel free to destroy the grenades for points, or if you are using a ship with an area-blast Weapon, try and attempt to grenade-milk (technique described below). Be warned that only Chitta, Bornnam and Gain can grenade-milk in this manner; all the other ships will follow a regular pattern through Stage 6 and 7 to get their points. Now, after Black Heart2 does it's yoyo-grenade attack, it'll start moving around the top half of the screen erratically, firing a nasty looking spread pattern that covers the screen. This pattern, however, is not aimed at you, which makes dodging it a lot easier. Black Heart2 will do this screen-spray attack twice (stopping for a second in-between each set) before repeating the yoyo-grenade attack. Black Heart2 will repeat this attack cycle three times, before shifting to it's third cycle. There is no visual clue as to when it changes attack cycles, so be on your guard. As stated above, the third attack phase comes without warning. The only way you can tell when the third phase starts is by either counting how many cycles have passed during phase 2, or by seeing Black Heart suddenly shift into a combination attack pattern after returning to the top of the screen. From it's initial firing position, move RIGHT, then LEFT, then RIGHT, then BACK TO INITIAL POSITION. All moving vulcan movements will cut across the initial position by at least 30 degrees. If however, you are a little further off to one side then you will have to move a bit more than usual to compensate. As with Black Heart1, get as close as you can to Black Heart2 during the moving vulcan attack to cut down on the maximum distance you have to move. During the third phase, all of Black Heart2's attack patterns and movement patterns will be randomly selected, so there is no easy way to predict or advise you on how to dodge them, besides "stay alert!". One thing to note is when BHMKII drops downscreen, he doesn't neccessarily have to slide across the screen. Sometimes he just decides to immediately go up again, like he does during the second phase. BHMKII's 27th and last attack is always the same: He uses his reflective Vulcan while dropping downscreen and tries to ram you. Check his very first attack of the first phase, if it involves grenades, try to milk the first phase i.e. let it timeout after 8 attacks. If the first attack does not invovle grenades, try to get to the second phase as soon as possible, so that the third phase takes longer before the timeout and your chances to get a lot of grenade attacks during that phase rises. Since you don't have to deal with anything random during the second phase, you should milk all three grenade attacks (1st, 4th and 7th attack of that phase) and let this phase timeout. The third phase can get very difficult, because it can generate some really nasty patterns, that seem to be almost impossible. The most important attacks during this phase are the 5th and 11th. If you have enough bombs in stock, these two attacks alone can yield up to 1,2mill points! (Use two bombs for each of them, only when he slides across the screen of course) You should try to destroy the boss right after the 11th attack. The last boss! Don't relax yet, as this boss is just as challenging as Black Heart2. Once again, I will split up Glow Squid's attack sequence into three phases, with a full breakdown of each phase. For the cone spray, you can stay off to Glow Squid's side and attack the wings with little problems. Don't forget to get back to the bottom of the screen when it fires the arc spread. Once you see the two turret arms appear, Glow Squid will shift into its second form, with some trickier patterns to dodge. First off, The cockpit section of Glow Squid will regularly fire a six way pattern that covers the screen. This pattern does not affect you if you hang around the bottom of the screen, but it does stop you from using the sides of the screen to dodge patterns, so bear that in mind. Adding to that, the body of the ship itself fires a pair of slow-moving bullets straight down the screen. Since Glow Squid moves slowly from side to side in this phase, these bullet pairs will create a slow moving zig-zag pattern that isn't hard to dodge, but does take up space. The best way to avoid this pattern is to use the space outside of the zigzag pattern. All of these attacks are aimed. The best way to dodge them is to tap move into the spaces made by the zigzag pattern. There is no easy way around this phase, so stay alert. 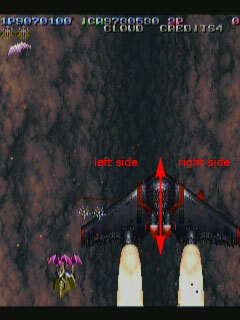 The cockpit will eject from the main body and proceed to go crazy, moving at speed in erratic movements all over the top half of the screen. For this entire phase, I will suggest that you set your options to Trace and hug the bottom of the screen, pointing your Options in whatever direction you need. This is especially important with the homing missiles, as they will continue to home in on you until destroyed. If you are playing for survival, just keep plugging away at Glow Squid until it is destroyed, as it has a low resilience this phase. Scorers will aim to milk the homing missiles for powerups and Medals to boost their score. Last edited by Icarus on Wed Sep 15, 2010 11:01 am, edited 9 times in total. This hasn't occured in any of the superplays I've seen, so I know there must be a reason but...since most suicide on the first boss, wouldn't it make sense to bomb the rails, since you're going to lose the bomb anyways? As stated, if you feel like you aren't likely to attempt to exploit the birds, then go for increasing Medals via the train rails. If, however, you fancy a nice little boost to the score, then save all your Weapon bullets for the birds on stage 2, and ignore the train rails. And dying gives you roughly 20 Small Weapon bullets to your stock, unlike Bakraid, which resets the Weapon stock to one and a half. Therefore, the double suicide is to bump your stock to around two and a half Weapons, to attack the birds (three and a half using the bird suicide trick). Ah, I see. For some reason I was under the impression that it refilled your bombstock entirely as in a standard shooter...thanks. Just added a Garegga training plan for Garegga players of beginner to intermediate levels. This details the best method I've developed (and used myself, a long time ago) for players wishing to learn to get to grips with all the game has to offer, and for players wishing to learn to play the game at a good level. If you have the time, patience, dedication, and wish to play the game competently, please take a look at the training plan, housed in the Basic Info section. The rest of the guide is coming soon, stages 4 and 5 are almost fully written up, with screenshots and data for 3, 4 an 5 to come. Heh heh, the new addition is appreciated. I predict many links to here being posted in future threads. Offhand though, there's another thing about Garegga that I've been wondering about...does anyone know how rank increases work in 2-player mode? If 2 people are playing and are shooting, collecting stuff, etc. at about the same rate, does the overall rank increase double because there are 2 players doing those things, or are the rank increases somehow "split" so that the overall increase is about the same as if there were only one player? I would guess that in two player games, rank increases are split between both players so the effect is roughly the same as it would be if it was a one player game. It would be possible for two expert players to utilise special rank control methods and selective scoring (like an Ikaruga dualplay) to keep rank surpressed at lower levels. Would be worth experimenting with two player Garegga to see what happens. That would be interesting if that were the case...if nothing else, it'd be a good way for an expert player and a newer one to team up, and for the former to show the latter how it's done, rather than worrying about the rank rising to insane levels because the latter isn't as accustomed to what's going on. For that alone methinks it might be worth thoroughly embarrassing myself at a shmupmeet...almost. Quick question for you...whenever I try to pull off the 1-up trick on stage 3, the boss leaves me a large Weapon bullet instead of a 1-up. An extra bomb is nice, but the extra life would be preferable...any idea what I'm doing wrong? I let the thing live until it stops moving at the end, and then blast it, but I always get the bomb instead of the extra life. Quite a number of things affect the 1UP's appearance. What difficulty are you playing it on? I think the 1UP's appearance is affected by the difficulty you set the game at. From Arcade onwards, it should give you a 1UP instead of a large Weapon bullet. Make sure you destroy both side parts of the hovertank completely. That's the turret mounted on the front of each side part, the missile launcher at the back, and the covering of the side pieces as well. Also, make sure you destroy it when it is completely stationary, and not while it's moving "in the area" of the 1UP so to speak. And don't use Weapon on it to destroy it either Plus, it won't give you the 1UP if you already have maximum lifestock (four spare lives). That's probably it right there; when reading the post above I thought that the advice to destroy the side stuff was just a suggestion to make that section easier. I'll give it another shot next time I play. Both sides of the tank must be destroyed in order to collect the 1p. Also, the tank must be fully in its final position (yes, one pixel less counts ). Technically, the central turret must also be destroyed, but this is a consequence of shooting the main core when the tank will be at the proper place: if done earlier, it will just trigger the rotating cannon beneath. This will make things a bit more complex, but the ending result is roughly the same. Actually, from experience, the central cannon doesn't need to be destroyed in order to get the 1UP, just the side parts. You can also attack the side parts when it's come to it's final resting place to destroy it, saving the hassle of dodging the rotating cannon's attack. Gave the thing another shot, and yeah, destroying the sides is what I needed to do. Thanks for your help, Icarus.